Edmonton (/ˈɛdməntən/ (listen); Cree: ᐊᒥᐢᑲᐧᒋᐊᐧᐢᑲᐦᐃᑲᐣ; Blackfoot: Omahkoyis) is the capital city of the Canadian province of Alberta. Edmonton is on the North Saskatchewan River and is the centre of the Edmonton Metropolitan Region, which is surrounded by Alberta's central region. The city anchors the north end of what Statistics Canada defines as the "Calgary–Edmonton Corridor". The city had a population of 932,546 in 2016, making it Alberta's second-largest city and Canada's fifth-largest municipality. Also in 2016, Edmonton had a metropolitan population of 1,321,426, making it the sixth-largest census metropolitan area (CMA) in Canada. Edmonton is North America's northernmost metropolitan area with a population over one million. A resident of Edmonton is known as an Edmontonian. Edmonton's historic growth has been facilitated through the absorption of five adjacent urban municipalities (Strathcona, North Edmonton, West Edmonton, Beverly and Jasper Place) in addition to a series of annexations through 1982, and the annexation of 8,260 ha (82.6 km2) of land from Leduc County and the city of Beaumont on January 1, 2019. Known as the "Gateway to the North", the city is a staging point for large-scale oil sands projects occurring in northern Alberta and large-scale diamond mining operations in the Northwest Territories. Edmonton is a cultural, governmental and educational centre. It hosts a year-round slate of festivals, reflected in the nickname "Canada's Festival City". It is home to North America's largest mall, West Edmonton Mall (the world's largest mall from 1981 until 2004), and Fort Edmonton Park, Canada's largest living history museum. The earliest known inhabitants arrived in the area that is now Edmonton around 3,000 BC and perhaps as early as 12,000 BC when an ice-free corridor opened as the last glacial period ended and timber, water, and wildlife became available in the region. In 1754, Anthony Henday, an explorer for the Hudson's Bay Company (HBC), may have been the first European to enter the Edmonton area. His expeditions across the Canadian Prairies were mainly to seek contact with the aboriginal population for establishing the fur trade, as the competition was fierce between the Hudson's Bay Company and the North West Company. By 1795, Fort Edmonton was established on the river's north bank as a major trading post for the Hudson's Bay Company. The new fort's name was suggested by John Peter Pruden after Edmonton, London, the hometown of both the HBC deputy governor Sir James Winter Lake, and Pruden. In 1876, Treaty 6, which includes what is now Edmonton, was signed between the Aboriginal peoples in Canada (or First Nations) and Queen Victoria as Queen of Canada, as part of the Numbered Treaties of Canada. The agreement includes the Plains and Woods Cree, Assiniboine, and other band governments of First Nations at Fort Carlton, Fort Pitt, and Battle River. The area covered by the treaty represents most of the central area of the current provinces of Saskatchewan and Alberta. The coming of the Canadian Pacific Railway (CPR) to southern Alberta in 1885 helped the Edmonton economy, and the 1891 building of the Calgary and Edmonton (C&E) Railway resulted in the emergence of a railway townsite (South Edmonton/Strathcona) on the river's south side, across from Edmonton. The arrival of the CPR and the C&E Railway helped bring settlers and entrepreneurs from eastern Canada, Europe, U.S. and other parts of the world. The Edmonton area's fertile soil and cheap land attracted settlers, further establishing Edmonton as a major regional commercial and agricultural centre. Some people participating in the Klondike Gold Rush passed through South Edmonton/Strathcona in 1897. Strathcona was North America's northernmost railway point, but travel to the Klondike was still very difficult for the "Klondikers," and a majority of them took a steamship north to the Yukon from Vancouver, British Columbia. Incorporated as a town in 1892 with a population of 700 and then as a city in 1904 with a population of 8,350, Edmonton became the capital of Alberta when the province was formed a year later, on September 1, 1905. In November 1905, the Canadian Northern Railway (CNR) arrived in Edmonton, accelerating growth. During the early 1900s, Edmonton's rapid growth led to speculation in real estate. In 1912, Edmonton amalgamated with the City of Strathcona, south of the North Saskatchewan River; as a result, the city extended south of the North Saskatchewan River for the first time. Just before World War I, the boom ended, and the city's population declined from more than 72,000 in 1914 to less than 54,000 only two years later. Many impoverished families moved to subsistence farms outside the city, while others fled to greener pastures in other provinces. Recruitment to the army during the war also contributed to the drop in population. Afterwards, the city slowly recovered in population and economy during the 1920s and 1930s and took off again during and after World War II. The Edmonton City Centre Airport opened in 1929, becoming Canada's first licensed airfield. Originally named Blatchford Field in honour of former mayor Kenny Blatchford, pioneering aviators such as Wilfrid R. "Wop" May and Max Ward used Blatchford Field as a major base for distributing mail, food, and medicine to Northern Canada; hence Edmonton's emergence as the "Gateway to the North". World War II saw Edmonton become a major base for the construction of the Alaska Highway and the Northwest Staging Route. The airport was closed in November 2013. In 1892 Edmonton was incorporated as a town. The first mayor was Matthew McCauley, who established the first school board in Edmonton and Board of Trade (later Chamber of Commerce) and a municipal police service. Due to mayor McCauley's good relationship with the federal Liberals this helped Edmonton to maintain political prominence over Strathcona, a rival settlement on the south bank of the North Saskatchewan River. Edmonton was incorporated as a city in 1904 and became the capital of Alberta in 1905. Unions and radical organizations such as the Industrial Workers of the World struggled for progressive social change through the early years, with the first reformer, James East, being elected in 1912, followed by the first official Labour alderman, James Kinney, the following year. Many thousands of workers participated in the Edmonton general strike of 1919 and a strong block of Labour representatives were on council after the next election: James Kinney, James East, Sam McCoppen, Rice Sheppard and Joe Clarke. The City used the STV-PR (Single Transferable Vote - proportional representation) for elections from 1923 to 1927, in which the mayor and councillors were elected at large with ranked transferable votes. Labour representation on city council would become a near-majority in 1929, and, during the Great Depression, a full majority from 1932 to 1934. Jan Reimer became the city's first female mayor, when she was elected in 1989. The North Saskatchewan River is a glacier-fed river that bisects the city. Edmonton is located on the North Saskatchewan River, at an elevation of 671 metres (2,201 ft). Edmonton is the most northerly city in North America with a metropolitan population of over one million. It is at the same latitude as Hamburg (Germany), Dublin (Ireland), Manchester (United Kingdom), and Magnitogorsk (Russia). North as it is, it is south of the geographic centre of Alberta, which is located near the Hamlet of Fort Assiniboine. The terrain in and around Edmonton is generally flat to gently rolling, with ravines and deep river valleys, such as the North Saskatchewan River valley. The Canadian Rockies are located about 220 km (140 mi) to the southwest. The North Saskatchewan River originates at the Columbia Icefield in Jasper National Park and bisects the city. Before the construction of two reservoirs near the mountains, it would sometimes flood Edmonton's river valley, most notably in the North Saskatchewan River flood of 1915. It empties via the Saskatchewan River, Lake Winnipeg, and the Nelson River into Hudson Bay. It runs from the southwest to the northeast and is fed by numerous creeks throughout the city, such as Mill Creek, Whitemud Creek and Blackmud Creek; this creates numerous ravines, some of which are used for urban parkland. Edmonton is within the Canadian Prairies Ecozone. Aspen parkland surrounds the city and acts as a transitional area from the prairies to the south and boreal forest in the north. However, the aspen woods and forests in and around Edmonton have long since been reduced by farming and other human activities, such as residential and commercial land development as well as oil and natural gas exploration. Winters in Edmonton are typically cold and dry. Edmonton has a humid continental climate (Köppen climate classification Dfb) It falls into the NRC 4a Plant Hardiness Zone. The city is among the Canadian cities with the coldest winters, though milder than Regina, Saskatoon and Winnipeg, all of which are south of Edmonton in latitude. Its average daily temperatures range from a low of −10.4 °C (13.3 °F) in January to a summer peak of 17.7 °C (63.9 °F) in July. With average maximum of 23.1 °C (73.6 °F) in July, and minimum of −14.8 °C (5.4 °F) in January. Annually, temperatures can exceed 30 °C (86 °F) for an average of four to five days anytime from late April to mid-September and fall below −20 °C (−4 °F) for an average of 24.6 days. The highest temperature recorded within the City of Edmonton was 37.2 °C (99.0 °F), on June 29, 1937. On July 2, 2013, a record high humidex of 43 was recorded, due to an unusually humid day with a temperature of 33.9 °C (93.0 °F) and a record high dew point of 23 °C (73.4 °F). The lowest overall temperature ever recorded in Edmonton was −49.4 °C (−56.9 °F), on January 19 and 21, 1886. Typically, summer lasts from late June until early September, and the humidity is seldom uncomfortably high. Winter lasts from November to March, and varies greatly in length and severity. Spring and autumn are both short and highly variable. Edmonton's growing season is from May 9 to September 22; Edmonton averages 135-140 frost free days a year. At the summer solstice, Edmonton receives seventeen hours and three minutes of daylight, with an hour and forty-six minutes of civil twilight. On average Edmonton receives 2,299 hours of bright sunshine per year and is one of Canada's sunniest cities. The summer of 2006 was a particularly warm one for Edmonton, as temperatures reached 29 °C (84 °F) or higher more than 20 times during the year, from as early as mid-May and again in early September. The winter of 2011–12 was particularly warm; from December 22, 2011, till March 20, 2012, on 53 occasions Edmonton saw temperatures at or above 0.0 °C (32.0 °F) at the City Centre Airport. Edmonton has a fairly dry climate. On average, it receives 476.9 millimetres (18.78 in) of precipitation, of which 365.7 millimetres (14.40 in) is rain and 111.2 millimetres (4.38 in) is the melt from 123.5 centimetres (48.6 in) of snowfall per annum. Precipitation is heaviest in the late spring, summer, and early autumn. The wettest month is July, while the driest months are February, March, October, and November. In July, the mean precipitation is 91.7 mm (3.61 in). Dry spells are not uncommon and may occur at any time of the year. Extremes do occur, such as the 114 mm (4.49 in) of rainfall that fell on July 31, 1953. Summer thunderstorms can be frequent and occasionally severe enough to produce large hail, damaging winds, funnel clouds, and occasionally tornadoes. Twelve tornadoes had been recorded in Edmonton between 1890 and 1989, and eight since 1990. A F4 tornado that struck Edmonton on July 31, 1987, killing 27, was unusual in many respects, including severity, duration, damage, and casualties. It is commonly referred to as Black Friday due both to its aberrant characteristics and the emotional shock it generated. Then-mayor Laurence Decore cited the community's response to the tornado as evidence that Edmonton was a "city of champions," which later became an unofficial slogan of the city. A massive cluster of thunderstorms occurred on July 11, 2004, with large hail and over 100 mm (4 in) of rain reported within the space of an hour in many places. This "1-in-200 year event" flooded major intersections and underpasses and damaged both residential and commercial properties. The storm caused extensive damage to West Edmonton Mall; a small glass section of the roof collapsed under the weight of the rainwater, causing water to drain onto the mall's indoor ice rink. As a result, the mall was forced to undergo an evacuation as a precautionary measure. Skyline of downtown Edmonton. Downtown Edmonton serves as the centre for the Edmonton Metropolitan Region. Edmonton is at the centre of Canada's sixth largest census metropolitan area (CMA), which includes Edmonton and 34 other municipalities in the surrounding area. Larger urban communities include Sherwood Park (an urban service area within Strathcona County), the cities of St. Albert, Beaumont, Leduc, Spruce Grove and Fort Saskatchewan, and the towns of Stony Plain, Morinville, and Devon. Major employment areas outside of Edmonton but within the CMA include the Nisku Industrial Business Park and the Edmonton International Airport (including a planned inland port logistics support facility in support of the Port Alberta initiative) in Leduc County, the Acheson Industrial Area in Parkland County, Refinery Row in Strathcona County and Alberta's Industrial Heartland within portions of Fort Saskatchewan, Strathcona County and Sturgeon County. Alberta's Industrial Heartland also extends beyond the CMA's northeastern boundary into a portion of Lamont County. The individual economic development interests and costs of service delivery in certain municipalities within the region has led to intermunicipal competition, strained intermunicipal relationships and overall fragmentation of the region. Although several attempts have been made by the City of Edmonton to absorb surrounding municipalities or annex portions of its neighbours, the city has not absorbed another municipality since the Town of Jasper Place joined Edmonton on August 17, 1964, and the city has not annexed land from any of its neighbours since January 1, 1982. After years of mounting pressure in the early 21st century, the Province of Alberta formed the Capital Region Board (CRB) on April 15, 2008. The CRB consists of 24 member municipalities – 22 of which are within the Edmonton CMA and two of which are outside the CMA. The City of Edmonton subsequently announced in March 2013 its intent to annex 156 square kilometres of land (including the Edmonton International Airport) from Leduc County. On November 30, 2016, the City of Edmonton and Leduc County came to an agreement on Edmonton's annexation proposal. The City of Edmonton was poised to annex 29,900 acres (121 km2) of land from Leduc County and Beaumont, including the Edmonton International Airport, as a result. On January 1, 2019, the City of Edmonton officially annexed 8,260 ha (82.6 km2) from Leduc County and the City of Beaumont, increasing the city's area to 767.85 km2 (296.47 sq mi), with discussions of annexing an additional 2,830 ha (28.3 km2) of Edmonton International Airport land still ongoing. Victoria Promenade in the residential neighbourhood of Oliver. The neighbourhood borders downtown Edmonton. Larger residential areas within Edmonton's six suburban sectors, each comprising multiple neighbourhoods, include: Heritage Valley, Kaskitayo, Riverbend, Terwillegar Heights and Windermere (southwest sector); The Grange, Lewis Farms and West Jasper Place (west sector); Big Lake (northwest sector); Castle Downs, Lake District and The Palisades (north sector); Casselman-Steele Heights, Clareview, Hermitage, Londonderry and Pilot Sound (northeast sector); and Ellerslie, The Meadows, Mill Woods and Southeast Edmonton (southeast sector). Mill Woods is divided into a town centre community (Mill Woods Town Centre) and eight surrounding communities – Burnewood, Knottwood, Lakewood, Millbourne, Millhurst, Ridgewood, Southwood, and Woodvale – each having between two and four neighbourhoods. Houses in Crestwood, a residential neighbourhood typical of most suburban areas of Edmonton. The Edmonton City Centre Airport is planned to be redeveloped into a sustainable community of 30,000 people comprising a transit-oriented mixed use town centre, townhouses, low, medium and high rise apartments, neighbourhood retail and service uses, and a major park. Edmonton has four major industrial districts – the Northwest Industrial District, the Northeast Industrial District, the Southeast Industrial District and the emerging Edmonton Energy and Technology Park, which is part of Alberta's Industrial Heartland. The northwest, northeast and southeast districts each have smaller industrial areas and neighbourhoods within them. In the 2016 Census of Population conducted by Statistics Canada, the City of Edmonton recorded a population of 932,546 living in 360,828 of its 387,950 total private dwellings, a change of 14.8% from its 2011 population of 812,201. With a land area of 685.25 km2 (264.58 sq mi), it had a population density of 1,360.9/km2 (3,524.7/sq mi) in 2016. The population of the City of Edmonton according to its 2016 municipal census is 899,447, a change of 2.4% from its 2014 municipal census population of 877,926. The 2016 census captured more detailed demographic information on residents, including age and gender, marital status, employment status, length of residency, prior residence, employment transportation mode, citizenship, school residency, economic diversity, city resource access, highest educational attainment, household language and income, as well as dwellings and properties, including ownership, structure and status. Per its municipal census policy, the city's next municipal census is scheduled for 2019. In the 2011 Census, the City of Edmonton had a population of 812,201 living in 324,756 of its 348,672 total dwellings, a change of 11.2% from its 2006 population of 730,372. With a land area of 684.37 km2 (264.24 sq mi), it had a population density of 1,186.8/km2 (3,073.8/sq mi) in 2011. The census also reported that 50.2 percent of the population (407,325) was female while 49.8 percent (404,875) was male. The average age of the city's population was 36.0 years while there was an average 2.5 people per household. The Edmonton population centre is the core of the Edmonton CMA. This core includes the cities of Edmonton, Fort Saskatchewan and St. Albert, the Sherwood Park portion of Strathcona County, and portions of Parkland County and Sturgeon County. The Edmonton population centre, the fifth-largest in Canada, had a population of 960,015 in 2011, an 11.3 percent increase over its 2006 population of 862,544. The 2016 census also reported that 37.1% of Edmonton's population identified themselves as visible minorities. The most frequent visible minorities included South Asian at 9.5%, Chinese at 6.3%, Black at 5.9%, Filipino at 5.9%, and Arab at 2.6%. St. Joseph's Basilica is the only basilica in Western Canada. In the 2001 census, 29.4 percent of residents of Edmonton identified as Catholic. According to the 2001 census, 31.2 percent of Edmonton residents are Protestant and 29.4 percent are Catholic. 5.5 percent belong to other Christian denominations, 2.9 percent are Muslim, 0.6 percent are Jewish, 5.1 percent are adherents of other religions, and 24.4 percent profess no religion. A Bahá'í Centre is located in Edmonton. The first mosque established in Canada – the Al-Rashid Mosque, founded by Abdullah Yusuf Ali – is situated in Edmonton. The Baitul Hadi Mosque is the only Ahmadiyya mosque in the city. Edmonton also hosts a Maronite Catholic church, on 76 Avenue/98 Street, with services in English on Saturdays and Arabic on Sundays. The Lebanese community also has a Druze Community Centre on the north side of the city. The Edmonton Alberta Temple of the Church of Jesus Christ of Latter-day Saints was dedicated on December 11, 1999. The Hindu Community in Edmonton is served by the Hindu Society of Alberta (North Indian Temple) and the Maha Ganapathy Society of Alberta (South Indian Temple). The Sikh community in Edmonton is served by four gurdwaras. The Jewish Community in Edmonton is served by Jewish Federation of Edmonton. The region is served by five synagogues. Edmonton is also home to two of Alberta's five Unitarian Universalist congregations – the Unitarian Church of Edmonton and the Westwood Unitarian Congregation; the other three are located in Calgary, Lethbridge, and Red Deer. Edmonton is the major economic centre for northern and central Alberta and a major centre for the oil and gas industry. As of 2014, the estimated value of major projects within the Edmonton Metropolitan Region was $57.8-billion, of which $34.4-billion are within the oil and gas, oil sands and pipeline sectors. Edmonton traditionally has been a hub for Albertan petrochemical industries, earning it the nickname "Oil Capital of Canada" in the 1940s. Supply and service industries drive the energy extraction engine, while research develops new technologies and supports expanded value-added processing of Alberta's massive oil, gas, and oil sands reserves. These are reported to be the second-largest in the world, after Saudi Arabia. Much of the growth in technology sectors is due to Edmonton's reputation as one of Canada's premier research and education centres. Research initiatives are anchored by educational institutions such as the University of Alberta (U of A) as well as government initiatives underway at the Alberta Research Council and Edmonton Research Park. The U of A campus is home to the National Institute for Nanotechnology. View of Edmonton's central business district from the south riverbank, over Walterdale Bridge. During the 1970s and 1980s, Edmonton became a major financial centre, with both regional offices of Canada's major banks and locally based institutions opening. However, the turmoil of the late-1980s economy radically changed the situation. Locally based operations such as Principal Trust and Canadian Commercial Bank would fail, and some regional offices were moved to other cities. The 1990s saw a solidification of the economy, and Edmonton is now home to Canadian Western Bank, the only publicly traded Schedule I chartered bank headquarters west of Toronto. Other major financial centres include ATB Financial, Servus Credit Union (formerly Capital City Savings), TD Canada Trust and Manulife Financial. Edmonton has been the birthplace of several companies that have grown to international stature. The local retail market has also seen the creation of many successful store concepts, such as The Brick, Katz Group, AutoCanada, Boston Pizza, Pizza 73, Liquor Stores GP (which includes Liquor Depot, Liquor Barn, OK Liquor, and Grapes & Grains), Planet Organic, Shaw Communications, Empire Design, Running Room, Booster Juice, Earl's, Fountain Tire and XS Cargo. Edmonton's geographical location has made it an ideal spot for distribution and logistics. CN Rail's North American operational facility is located in the city, as well as a major intermodal facility that handles all incoming freight from the port of Prince Rupert in British Columbia. West Edmonton Mall is the largest shopping mall in the Americas. Edmonton is home to several shopping malls and the largest mall in North America, West Edmonton Mall, which is also considered to be the 10th largest mall in the world. Other mentionable malls include Bonnie Doon Shopping Centre, Edmonton City Centre (a combination of the former Edmonton Centre and Eaton Centre malls), Southgate Centre, Kingsway Mall, Northgate Centre, Riverview Crossing, Londonderry Mall, and Mill Woods Town Centre. Edmonton also has many big box shopping centres and power centres. Some of the major ones include South Edmonton Common (North America's largest open air retail development), Mayfield Common, Westpoint, Skyview Power Centre, Terra Losa Centre, Oliver Square, Southpark Centre, The Meadows, Christy's Corner, Currents of Windermere, and Manning Village. In contrast to suburban centres, Edmonton has many urban retail locations. The largest of them all, Old Strathcona, includes many independent stores between 99 Street and 109 Street on Whyte Avenue and area. In around the downtown of Edmonton, there are a small handful of shopping districts, such as previously mentioned Edmonton City Centre mall, Jasper Avenue and 104 Street. Near Oliver, 124 Street is home to a significant number of retail stores. Edmonton is the Canadian testing-ground for many American retailers, such as Bath & Body Works and Calvin Klein. Many events are anchored in the downtown Arts District, centred around Churchill Square (named in honour of Sir Winston Churchill). On the south side of the river, the University district and Whyte Avenue contain theatres, concert halls, and various live music venues. The centrepiece of the square builds a life-size bronze statue of Churchill, unveiled by Lady Soames on May 24, 1989. It is a copy of a statue made by Oscar Nemon. Francis Winspear Centre for Music is a performing arts centre located in downtown Edmonton. The Centre is home to the Edmonton Symphony Orchestra. The Francis Winspear Centre for Music was opened in 1997 after years of planning and fundraising. Described as one of the most acoustically perfect concert halls in Canada, it is home to the Edmonton Symphony Orchestra and hosts a wide variety of shows every year. It seats 1,932 patrons and houses the $3-million Davis Concert Organ, the largest concert organ in Canada. Across 102 Avenue is the Citadel Theatre, named after The Salvation Army Citadel in which Joe Shoctor first started the Citadel Theatre Company in 1965. It is now one of the largest theatre complexes in Canada, with five halls, each specializing in different kinds of productions. In 2015, the Citadel Theatre also became home to Catalyst Theatre. On the University of Alberta grounds is the 2,534-seat Northern Alberta Jubilee Auditorium, which had over a year of heavy renovations as part of the province's 2005 centennial celebrations. Both it and its southern twin in Calgary were constructed in 1955 for the province's golden jubilee and have hosted many concerts, musicals, and ballets. The Edmonton Opera uses the Jubilee as its base of operations. On the front of the building is a quote from Suetonius' Life of Augustus: "He found a city built of brick – left it built of marble." The Old Strathcona neighbourhood is home to the Theatre District, which holds the ATB Financial Arts Barns (headquarters of the Edmonton International Fringe Festival), The Walterdale Playhouse, and the Varscona Theatre (base of operations for several theatre companies, including Teatro la Quindicina, Shadow Theatre, Die-Nasty, Plane Jane Theatre, and Grindstone Theatre!). Edmonton was named cultural capital of Canada in 2007. The Ukrainian Dnipro Ensemble of Edmonton, along with other Ukrainian choirs such as the Ukrainian Male Chorus of Edmonton, helps preserve the Ukrainian musical culture within the parameters of the Canadian multicultural identity in Edmonton. Edmonton hosts several large festivals each year, contributing to its nickname, "Canada's Festival City". Downtown Edmonton's Churchill Square host numerous festivals each summer. The Works Art & Design Festival, which takes place from late June to early July, showcases Canadian and international art and design from well-known award-winning artists as well as emerging and student artists. The Edmonton International Street Performer's Festival takes place in mid-July and showcases street performance artists from around the world. The Edmonton Folk Music Festival. Edmonton plays host to several large festivals each year. Edmonton's main summer festival is K-Days, formerly Klondike Days, Capital Ex and originally the Edmonton Exhibition. Founded in 1879, the Edmonton Exhibition was originally an annual fair and exhibition that eventually adopted a gold rush theme, becoming Klondike Days in the 1960s. Northlands, the operators, renamed the festival to "Edmonton's Capital Ex" or "Capital Ex" in 2006. In 2012, Edmonton Northlands conducted a poll to rename the festival that resulted in changing the name to "K-Days". Activities include carnival rides and fairways, music, trade shows, and daily fireworks. The Canadian Finals Rodeo was held in Edmonton from 1974 to 2017, but moved to Red Deer in 2018 due to the closure of the Coliseum. The Edmonton International Fringe Festival, held in mid-August, is the largest fringe theatre festival in North America and second only to the Edinburgh Fringe Festival worldwide. In August, Edmonton also hosts the Edmonton Folk Music Festival, one of the most successful and popular folk music festivals in North America. Another major summer festival is the Edmonton Heritage Festival, which is an ethnocultural festival that takes place in William Hawrelak Park on the Heritage Day long weekend. Many other festivals exist, such as Interstellar Rodeo, the Free Will Shakespeare Festival, the Dragon Boat Festival, The HarvestMoon Music and Arts Festival, the Whyte Avenue Art Walk, and the Edmonton International Film Festival. Edmonton also hosts a number of winter festivals including Deep Freeze: A Byzantine Winter Festival, Ice on Whyte, Flying Canoe Volant, and the Silver Skate Festival, which is Edmonton's longest running winter festival featuring snow sculptures, winter sports and horse-drawn sleighs. In the city's early days, music was performed in churches and community halls. Edmonton has a history of opera and classical music performance; both genres historically have been supported by a variety of clubs and associations. Edmonton's first major radio station, CKUA, began broadcasting music in 1927. The city is a centre for music instruction; the University of Alberta began its music department in 1945, and MacEwan University opened a jazz and musical theatre program in 1980. Festivals of jazz, folk, and classical music are popular entertainment events in the city. The Edmonton Symphony Orchestra has existed under various incarnations since 1913. In 1952, the Edmonton Philharmonic and the Edmonton Pops orchestras amalgamated to form the 60-member modern version. The Orchestra performs at the Francis Winspear Centre for Music. The city also has a vibrant popular music scene, across genres including hip-hop, reggae, R&B, rock, pop, metal, punk, country and electronic. Notable past and present local musicians include Robert Goulet, Tommy Banks, Stu Davis, Tim Feehan, Cadence Weapon, Kreesha Turner, The Smalls, SNFU, Social Code, Stereos, Ten Second Epic, Tupelo Honey, Mac DeMarco, Shout Out Out Out Out, Psyche, Purity Ring, The Wet Secrets, Ruth B. numerous others. Opened in 1915, the Princess Theatre is the oldest cinema in the city. There are several key areas of nightlife in the city of Edmonton. The most popular is the Whyte Avenue (82 Avenue) strip, located between 109 Street and 99 Street; it has the highest number of heritage buildings in Edmonton, and the nightlife (bars, clubs, and restaurants) are located throughout, but mostly west of Gateway Boulevard (103 Street). Once the heart of the town of Strathcona (annexed by Edmonton on February 1, 1912), it fell into disrepair during the middle of the 20th century. Beginning in the 1970s, a coordinated effort to revive the area through the establishment of a business revitalization zone has produced an area rich with restored historical buildings and pleasant streetscapes. Its proximity to the University of Alberta has led to a high number of establishments ranging from restaurants and pubs to trendy clubs while hosting a wide variety of retail and specialty shops during the day. This area also contains two independent movie theatres: the Garneau and Princess theatres, as well as several live theatre, music, and comedy venues. Downtown Edmonton has undergone a continual process of renewal and growth since the mid-1990s. Many buildings were demolished during the oil boom, starting in the 1960s and continuing into the 1980s, to make way for office towers. As such, there have always been numerous pub-type establishments, as well as many hotel lounges and restaurants. The past decade has seen a strong resurgence in more mainstream venues. Edmonton also has a high demand for pub crawl tours in the city. Various clubs are also to be found along Edmonton's main street, Jasper Avenue. The Edmonton City Centre mall also houses a Landmark Cinemas movie theatre, featuring nine screens. The nonprofit Metro Cinema shows a variety of alternative or otherwise unreleased films every week. West Edmonton Mall holds several after-hour establishments in addition to its many stores and attractions. Bourbon Street has numerous eating establishments; clubs and casinos can also be found within the complex. Scotiabank Theatre (formerly known as Silver City), at the west end of the mall, is a theatre that features twelve screens and an IMAX. Edmonton's river valley constitutes the longest stretch of connected urban parkland in North America, and Edmonton has the highest amount of parkland per capita of any Canadian city; the river valley is 22 times larger than New York City's Central Park. The river valley is home to various parks ranging from fully serviced urban parks to campsite-like facilities with few amenities. This main "Ribbon of Green" is supplemented by numerous neighbourhood parks located throughout the city, to give a total of 111 km2 (27,400 acres) of parkland. Within the 7,400 ha (18,000 acres), 25 km (16 mi)-long river valley park system, there are 11 lakes, 14 ravines, and 22 major parks, and most of the city has accessible bike and walking trail connections. These trails are also part of the 235 km (146 mi) Waskahegan walking trail. The City of Edmonton has named five parks in its River Valley Parks System in honour of each of "The Famous Five". Edmonton's streets and parklands also contain one of the largest remaining concentrations of healthy American elm trees in the world, unaffected by Dutch elm disease, which has wiped out vast numbers of such trees in eastern North America. Jack pine, lodgepole pine, white spruce, white birch, aspen, mountain ash, Amur maple, Russian olive, green ash, basswood, various poplars and willows, flowering crabapple, Mayday tree and Manitoba maple are also abundant; bur oak, silver maple, hawthorn and Ohio buckeye are increasingly popular. Other introduced tree species include white ash, blue spruce, Norway maple, red oak, sugar maple, common horse-chestnut, McIntosh apple, and Evans cherry. Three walnut species – butternut, Manchurian walnut, and black walnut – have survived in Edmonton. Several golf courses, both public and private, are also located in the river valley; the long summer daylight hours of this northern city provide for extended play from early morning well into the evening. Golf courses and the park system become a winter recreation area during this season, and cross-country skiing and skating are popular during the long winter. Four downhill ski slopes are located in the river valley as well, two within the city and two immediately outside. The Edmonton & Area Land Trust (EALT) is a charity focused on conserving natural areas in Edmonton and surrounding municipalities. Its first project in Edmonton was conserving Larch Sanctuary, via a 59-acre Conservation Easement with the City, straddling Whitemud Creek south of 23rd Avenue, and containing the only oxbow lake in the City. EALT works with many organisations in Edmonton, and is currently working to conserve the 233 acres of Forest and Farmland in a loop of the river in North East Edmonton. A variety of volunteer opportunities exist for citizens to participate in the stewardship of Edmonton's parkland and river valley. Volunteer programs include River Valley Clean-up, Root for Trees, and Partner in Parks. River Valley Clean-up engages volunteers to pick up hundreds of bags of litter each year. Construction for the Royal Alberta Museum's new building, which opened in early October 2018. The museum is the largest museum in Alberta by floorspace. There are many museums in Edmonton of various sizes. The largest is the Royal Alberta Museum (RAM), which was formerly known as the Provincial Museum of Alberta until it was renamed in honour of Queen Elizabeth II's 2005 Alberta centennial visit. The RAM houses over 10 million objects in its collection and showcases the culture and practices of the diverse aboriginal tribes of the region. In 2018, the building relocated from its location in Glenora to a new building in downtown on 103A Avenue and 97 Street. The museum held a grand opening event and gave out 40,000 free tickets for its first few days of operation. Fort Edmonton Park is Canada's largest living museum by area. The Prince of Wales Armouries Heritage Centre is home to the Loyal Edmonton Regiment Military Museum. The museum is dedicated to preserving the military heritage and the sacrifices made by the people of Edmonton and Alberta in general. The museum features two galleries and several smaller exhibits. The collection includes historic firearms, uniforms, souvenirs, memorabilia, military accoutrements, as well as a large photographic and archival collection spanning the pre-World War One period to the present. The museum features an exhibit on the role of the 49th Battalion, CEF in Canada's Hundred Days Offensive. The Telephone Historical Centre is a telephone museum also located in the Prince of Wales Armouries Heritage Centre. In addition to a collection of artifacts tracing the history of the telephone, the museum has its own theatre featuring a brief film led by the robot Xeldon. The Art Gallery of Alberta is Edmonton's largest art gallery. Fort Edmonton Park, Canada's largest living history museum, is located in the river valley southwest of the city centre. Edmonton's heritage is displayed through historical buildings (many of which are originals moved to the park), costumed historical interpreters, and authentic artifacts. In total, it covers the region's history from approximately 1795 to 1929 (represented by Fort Edmonton), followed chronologically by 1885, 1905, and 1920 streets, and a recreation of a 1920s midway. A steam train, streetcars, automobiles and horse-drawn vehicles may be seen in operation (and utilized by the public) around the park. The John Walter Museum and Historical Area (c. 1875 to 1901) is on the Canadian Register of Historic Places. The University of Alberta operates its own internal Museums and Collections service. The Art Gallery of Alberta (AGA) is the city's largest single gallery. Formerly housed in an iconic 1970s Brutalist building designed by Don Bittorf, the AGA collection had over 5,000 pieces of art. The former AGA building was demolished in July 2007 to make way for construction of a new facility designed by Randall Stout. It was estimated to cost over $88-million and the amount that Edmonton City Council donated towards its construction was met with some controversy. The AGA officially opened on January 31, 2010. Independent galleries can be found throughout the city, especially along the 124 Street/Jasper Avenue corridor, known as the "gallery walk". Edmonton has a number of professional sports teams, including the Edmonton Eskimos of the Canadian Football League, Edmonton Oilers of the National Hockey League, and FC Edmonton of the Canadian Premier League. Junior sports clubs include the Edmonton Huskies and Edmonton Wildcats of the Canadian Junior Football League and the Edmonton Oil Kings of the Western Hockey League. Venues for Edmonton's professional and junior sports teams include Commonwealth Stadium (Eskimos), Argyll Velodrome, Rogers Place (Oilers and Oil Kings), Edmonton Ballpark (Prospects), the Universiade Pavilion (Energy), and Clarke Stadium (FC Edmonton, Huskies and Wildcats). Rogers Place is a multi-use indoor arena, and the present home arena for the NHL's Edmonton Oilers. Edmonton's teams have rivalries with Calgary's teams and games between Edmonton and Calgary teams are often referred to as the Battle of Alberta. Past notable hockey teams in Edmonton include: the original junior hockey incarnation of the Edmonton Oil Kings, with multiple league and national Memorial Cup championships playing in the Western Hockey League; the Edmonton Flyers, with multiple Lester Patrick Cups and one national Allan Cup, and; the Edmonton Roadrunners of the American Hockey League. Other past notable sports teams include; the Edmonton Grads, a women's basketball team with 108 local, provincial, national, and international titles and the world champions for 17 years in a row; the Edmonton Trappers, a Triple-A level baseball team with multiple division and league titles in the Pacific Coast League, and; the Edmonton Rush, a box lacrosse team with one league championship. Local university-level sports teams include the U of A Golden Bears, the U of A Pandas, the NAIT Ooks, and the MacEwan Griffins. Local amateur teams, among others, include the Edmonton Gold of the Rugby Canada Super League and two flat track roller derby leagues: Oil City Roller Derby and E-Ville Roller Derby. From 2005 to 2012, Edmonton hosted an annual circuit on the Indy Racing League known as the Edmonton Indy. In addition, Castrol Raceway hosts regular sprint car and a national IHRA events at their facility next to Edmonton International Airport. Commonwealth Stadium is an open-air multi-purpose stadium. Opened in 1978 for the 1978 Commonwealth Games, the facility is also used as the home stadium for CFL's Edmonton Eskimos. The Edmonton City Council consists of a mayor and twelve councillors serving four-year terms. Each councillor is elected in a ward (electoral district); the mayor is elected at-large. The elections are non-partisan. Council has the responsibility of approving the city's budget, and develops laws and policies intended to promote the health and safety of Edmonton residents. The Council passes all legislation related to the city's police, firefighting, parks, libraries, and electricity, water supply, solid waste, and drainage utilities. On July 22, 2009, City Council adopted an electoral system that divides Edmonton into 12 wards, instead of the previous two for each of six wards. This system came into effect with the following election in October 2010. The most recent election was held in October 2017, and elected members to a four-year term. Edmonton is home to the Alberta Legislature Building, the meeting place for the Legislative Assembly of Alberta. Edmonton is the capital of the province of Alberta and holds all main provincial areas of government such as the Provincial Legislature of Alberta. The Edmonton Metropolitan Region is represented by 20 MLAs, one for each provincial electoral district. Many of these boundaries have been changed, adjusted and renamed while the city has grown. In the current 29th Alberta Legislature all of Edmonton's districts are represented by members from the governing Alberta New Democratic Party. Six of these members are cabinet ministers while one of them, Rachel Notley, is also the Premier of Alberta. The city's police force, the Edmonton Police Service, was founded in 1892, and had approximately 1,400 officers in 2012. Edmonton experienced a decrease in crime in the 1990s, an increase in the early 2000s, and another downturn at the end of the decade. Edmonton Police Service vehicle on patrol. The Edmonton census metropolitan area (CMA) had a crime severity index of 84.5 in 2013, which is higher than the national average of 68.7. Its crime severity index was the fifth-highest among CMAs in Canada behind Regina, Saskatoon, Kelowna and Vancouver. Edmonton had the fourth-most homicides in 2013 at 27. Edmonton is home to 1 Canadian Mechanized Brigade Group (1 CMBG), the Regular Force army brigade group of Land Force Western Area of the Canadian Army. Units in 1 CMBG include Lord Strathcona's Horse (Royal Canadians), 1 Combat Engineer Regiment, two of the three regular force battalions of Princess Patricia's Canadian Light Infantry, and various headquarters, service, and support elements. Although not part of 1 CMBG, 408 Tactical Helicopter Squadron and 1 Field Ambulance are located with the brigade group. All of these units are located at Lancaster Park, immediately north of the city. From 1943, as CFB Namao (now CFB Edmonton/Edmonton Garrison), it was a major air force base. In 1996, all fixed-wing aviation units were transferred to CFB Cold Lake. The Canadian Airborne Training Centre had been located in the city in the 1980s. The move of 1 CMBG and component units from Calgary occurred in 1996 in what was described as a cost-saving measure. The brigade had existed in Calgary since the 1950s, and Lord Strathcona's Horse had traditionally been a Calgary garrison unit dating back to before World War I.
Edmonton also has a large army reserve element from 41 Canadian Brigade Group (41 CBG), including The Loyal Edmonton Regiment (4th Battalion, Princess Patricia's Canadian Light Infantry); 41 Combat Engineer Regiment; HQ Battery, 20th Field Artillery Regiment; and B Squadron of The South Alberta Light Horse, one of Alberta's oldest army reserve units. Despite being far from Canada's coasts, Edmonton is also the home of HMCS Nonsuch, a naval reserve division. There are numerous cadet corps of the different elements (naval, army and air force) within Edmonton as well. Control tower for Edmonton International Airport. The international airport is the primary air passenger and air cargo facility for the Edmonton Metropolitan Region. Edmonton is a major air transportation gateway to northern Alberta and northern Canada. The Edmonton International Airport (EIA) is the main airport serving the city. The EIA provides passenger service to destinations in the United States, Europe, Mexico, and the Caribbean. The EIA is located within Leduc County, adjacent to the City of Leduc and the Nisku Industrial Business Park. With direct air distances from Edmonton to places such as London in Europe being shorter than to other main airports in western North America, Edmonton Airports is working to establish a major container shipping hub called Port Alberta. Edmonton serves as a major transportation hub for Canadian National Railway, whose North American operations management centre is located at their Edmonton offices. It is also tied into the Canadian Pacific Railway network, which provides service from Calgary to the south and extends northeast of Edmonton to serve Alberta's Industrial Heartland. Inter-city rail passenger rail service is provided by Via Rail's premier train, the Canadian, as it travels between Vancouver, British Columbia, and Toronto, Ontario. Passenger trains stop at the Edmonton railway station three days a week in both directions. The train connects Edmonton to multiple stops in British Columbia, Alberta, Saskatchewan, Manitoba, and Ontario. Edmonton Light Rail Transit train crossing the North Saskatchewan River. The light rail system is operated by the Edmonton Transit Service. The Edmonton Transit Service (ETS) is the city's public transit agency, operating the Edmonton Light Rail Transit (LRT) line as well as a fleet of buses. As of 2009 there were 354,440 boardings per day (in a population of 1,034,945). There are approximately 280,000 ETS bus boardings, 54,000 LRT boardings, and 3,500 paratransit boardings per weekday. From the 1990s to early 2009, Edmonton was one of two cities in Canada still operating trolley buses, along with Vancouver. On June 18, 2008, City Council decided to abandon the Edmonton trolley bus system and the last trolley bus ran on May 2, 2009. Scheduled LRT service began on April 23, 1978, with five extensions of the single line completed since. The original Edmonton line is considered to be the first "modern" light rail line in North America (i.e., built from scratch, rather than being an upgrade of an old system). It introduced the use of German-designed rolling stock that subsequently became the standard light rail vehicle of the United States. The Edmonton "proof-of-payment" fare collection system adopted in 1980 – modelled after European ticket systems – became the North American transit industry's preferred approach for subsequent light rail projects. The four-year South LRT extension was opened in full on April 24, 2010, which sees trains travelling to Century Park (located at 23 Avenue and 111 Street), making stops at South Campus and Southgate Centre along the way. A line to the Northern Alberta Institute of Technology in north-central Edmonton using the same high floor technology of the existing system opened September 6, 2015. Edmonton is also expanding the LRT to Mill Woods (the southeast) by 2020 and to Lewis Farms (the west) thereafter using low floor technology. Anthony Henday Drive from 91 Street in Edmonton. The freeway is the main ring road for the city. A largely gridded system forms most of Edmonton's street and road network. The address system is mostly numbered, with streets running south to north and avenues running east to west. In built-up areas built since the 1950s, local streets and major roadways generally do not conform to the grid system. Major roadways include Kingsway, Yellowhead Trail (Highway 16), Whitemud Drive and Anthony Henday Drive. The major roads connecting to other communities elsewhere in Alberta, British Columbia, and Saskatchewan are the Yellowhead Highway to the west and east and Highway 2 (Queen Elizabeth II Highway) to the south. Edmonton's first power company established itself in 1891 and installed streetlights along the city's main avenue, Jasper Avenue. The power company was bought by the Town of Edmonton in 1902 and remains under municipal ownership today as EPCOR. Also in charge of water treatment, in 2002 EPCOR installed the world's largest ultraviolet (UV) water treatment or ultraviolet disinfection system at its E. L. Smith Water Treatment Plant. The Edmonton Composting Facility is the largest co-composting facility in North America by volume and capacity. The Edmonton Composting Facility, the largest of its type in the world, is also the largest stainless steel building in North America. Among the innovative uses for the city's waste includes a Christmas tree recycling program. The trees are collected each January and put through a woodchipper; this material is used as an addition to the composting process. In addition, the wood chips absorb much of the odour produced by the compost by providing a biofilter element to trap odour causing gaseous results of the process. Together, the Waste Management Centre and Wastewater Treatment plant are known as the Edmonton Waste Management Centre of Excellence. Research partners include the University of Alberta, the Alberta Research Council, the Northern Alberta Institute of Technology, and Olds College. There are four main hospitals serving Edmonton: University of Alberta Hospital, Royal Alexandra Hospital, Misericordia Community Hospital, and Grey Nuns Community Hospital. Other area hospitals include Sturgeon Community Hospital in St. Albert, Leduc Community Hospital in Leduc, Westview Health Centre in Stony Plain, and Fort Saskatchewan Community Hospital in Fort Saskatchewan. Dedicated psychiatric care is provided at the Alberta Hospital. The Northeast Community Health Centre offers a 24-hour emergency room with no inpatient ward services. The University of Alberta Hospital is the centre of a larger complex of hospitals and clinics located adjacent to the university campus which comprises the Stollery Children's Hospital, Mazankowski Alberta Heart Institute, Cross Cancer Institute, Zeidler Gastrointestinal Health Centre, Ledcor Clinical Training Centre, and Edmonton Clinic. Several health research institutes, including the Heritage Medical Research Centre, Medical Sciences Building, Katz Group Centre for Pharmacy and Health Research, and Li Ka Shing Centre for Health Research Innovation, are also located at this site. A similar set-up is also evident at the Royal Alexandra Hospital, which is connected to the Lois Hole Hospital for Women and Orthopaedic Surgery Centre. All hospitals are under the administration of Alberta Health Services, although Misericordia and Grey Nuns are run separately by Covenant Health. Headquarters of Edmonton Public Schools, one of three publicly-funded school districts in the city. Edmonton has three publicly funded school boards (districts) that provide kindergarten and grades 1–12. The vast majority of students attend schools in the two large English-language boards: Edmonton Public Schools, and the separate Edmonton Catholic School District. Also, since 1994, the Francophone minority community has had their own school board based in Edmonton, the Greater North Central Francophone Education Region No. 2, which includes surrounding communities. The city also has a number of public charter schools that are independent of any board. All three school boards and public charter schools are funded through provincial grants and property taxes. Some private schools exist as well, including Edmonton Academy, Progressive Academy and Tempo School. The Edmonton Society for Christian Education and Millwoods Christian School (not part of the former) used to be private schools; however, both have become part of Edmonton Public Schools as alternative programs. Both the Edmonton Public Schools and the Edmonton Catholic School District provide support and resources for those wishing to homeschool their children. The University of Alberta overlooks the North Saskatchewan River and downtown Edmonton. Those post-secondary institutions based in Edmonton that are publicly funded include Concordia University of Edmonton, MacEwan University, The King's University, NorQuest College, the Northern Alberta Institute of Technology (NAIT) and the University of Alberta (U of A). The publicly funded Athabasca University and the University of Lethbridge also have campuses in Edmonton. The U of A is a board-governed institution that has an annual revenue of over one billion dollars. In 2011/12, the university had over 38,000 students enrolled within nearly 400 undergraduate, graduate and professional programs, as well as over 15,000 students enrolled in its faculty of extension. The U of A is also home to the second-largest research library system in Canada. In 2010/11, MacEwan University had a total student population of over 43,000 students, including nearly 14,000 full-time students, enrolled in programs offering bachelor's degrees, university transfers, diplomas and certificates. NAIT has an approximate total of 61,200 students enrolled in more than 200 programs while NorQuest College has approximately 8,500 students enrolled in various full-time, part-time and continuing education programs. Other post-secondary institutions within Edmonton include Taylor University College and Seminary and Yellowhead Tribal College, a First Nations college. Edmonton has seven local broadcast television stations shown on basic cable TV or over-the-air, with the oldest broadcasters in the city being CTV (1961) and CBC (1954). Most of Edmonton's conventional television stations have made the switch to over-the-air digital broadcasting. The cable television providers in Edmonton are Telus (for IPTV) and Shaw Cable. Twenty-one FM and eight AM radio stations are based in Edmonton. Edmonton has two large-circulation daily newspapers, the Edmonton Journal and the Edmonton Sun. The Journal, established in 1903 and owned by the Postmedia Network, has a daily circulation of 112,000, while the Sun, established in 1978 and owned by Sun Media, has a circulation of 55,000. The Journal no longer publishes a Sunday edition as of July 2012. There is one free daily newspaper in the city, Metro. The magazine Vue Weekly is published on a weekly basis and focuses on alternative news. The Edmonton Examiner is a citywide community-based paper also published weekly. There are also a number of smaller weekly and community newspapers. Edmonton has five sister cities, with one American city listed by Sister Cities International. Edmonton was Nashville's first sister city and in 2015, the cities celebrated the 25th anniversary of their partnership. In 2014 and 2015, Nashville Mayor Karl Dean visited Edmonton during the Canadian Country Music Awards and the Edmonton Folk Music Festival. At the Folk Festival, Mayor Dean addressed the crowd of 20,000 and together with civic and arts leaders, celebrated the 25th anniversary of our sister city twinning. In August 2015, more than 150 Canadians visited Nashville to attend native son Brett Kissel's Grand Ole Opry debut and to meet with Sister Cities representatives. In November 2015, Doug Hoyer and Jeremy Witten represented Edmonton at World of Friendship, Nashville's annual sister cities celebration. ^ a b c d "Economic Development Edmonton 'Branding Edmonton' Initiative" (Doc). City of Edmonton. March 28, 2003. Archived from the original on February 11, 2015. Retrieved February 10, 2015. ^ a b "Location and History Profile: City of Edmonton" (PDF). Alberta Municipal Affairs. June 17, 2016. p. 43. Archived (PDF) from the original on March 25, 2016. Retrieved June 18, 2016. ^ "City of Edmonton Population, Historical" (PDF). City of Edmonton, Planning and Development Department. August 2008. Archived (PDF) from the original on March 4, 2016. Retrieved June 18, 2016. ^ a b c d "Population and dwelling counts, for Canada, provinces and territories, and census subdivisions (municipalities), 2016 and 2011 censuses – 100% data (Alberta)". Statistics Canada. February 8, 2017. Archived from the original on February 11, 2017. Retrieved February 8, 2017. ^ a b "Population and dwelling counts, for Canada, provinces and territories, and population centres, 2016 and 2011 censuses – 100% data (Alberta)". Statistics Canada. February 8, 2017. Archived from the original on February 11, 2017. Retrieved February 8, 2017. ^ a b c "Population and dwelling counts, for census metropolitan areas, 2016 and 2011 censuses – 100% data". Statistics Canada. February 8, 2017. Archived from the original on February 11, 2017. Retrieved February 8, 2017. ^ a b c City of Edmonton. "Leduc County Annexation". Retrieved January 5, 2019. ^ "Alberta Private Sewage Systems 2009 Standard of Practice Handbook: Appendix A.3 Alberta Design Data (A.3.A. Alberta Climate Design Data by Town)" (PDF) (PDF). Safety Codes Council. January 2012. pp. 212–215 (PDF pages 226–229). Archived (PDF) from the original on October 16, 2013. Retrieved October 8, 2013. ^ a b 2016 Municipal Affairs Population List (PDF). Alberta Municipal Affairs. ISBN 978-1-4601-3127-5. Archived from the original (PDF) on January 16, 2017. Retrieved January 28, 2017. ^ a b "Why Edmonton?". Enterprise Edmonton. Archived from the original on March 4, 2016. Retrieved March 25, 2016. ^ "Global city GDP 2014". Brookings Institution. Archived from the original on June 4, 2013. Retrieved November 18, 2014. ^ "Amiskwaciy History Series". City of Edmonton. Archived from the original on May 30, 2018. The name Amiskwaciy comes from Amiskwaciy Waskahikan or "Beaver Hill House", a Cree term used to describe the Edmonton area. ^ "Phraseology, Category: Places". Blackfoot Digital Library. Archived from the original on May 30, 2018. Retrieved December 4, 2018. ^ a b "Geographic Profile" (PDF). Capital Region Board. Archived from the original (PDF) on March 25, 2013. Retrieved November 24, 2012. ^ Aubrey, Merrily (2004). Naming Edmonton: From Ada to Zoie. University of Alberta Press. pp. 17, 25, 34, 138, 214. ISBN 0-88864-423-X. ^ "Population History". City of Edmonton. Archived from the original on October 16, 2012. Retrieved November 24, 2012. ^ a b History of Annexations (PDF) (Map). City of Edmonton, Planning and Development Department. Archived (PDF) from the original on December 30, 2014. Retrieved December 29, 2014. ^ "City Centre Airport (Gateway to the North)". Aviation Edmonton. Archived from the original on August 7, 2013. Retrieved March 5, 2014. ^ The Diavik Diamond Mine. "Historical The Diavik Diamond Mine". Archived from the original on August 29, 2008. Retrieved March 1, 2009. ^ a b West Edmonton Mall. "Welcome to West Edmonton Mall's Website". West Edmonton Mall. Archived from the original on June 1, 2010. Retrieved February 27, 2009. ^ Marketwire (March 17, 2009). "Edmonton Attractions Make Canada's Festival City a Family Affair". Reuters. Archived from the original on March 4, 2014. Retrieved December 7, 2011. ^ Walls, Martha; Mahaffy, Cheryl (2007). Edmonton Book of Everything: Everything You Wanted to Know about Edmonton and Were Going to Ask Anyway. MacIntyre & Purcell. p. 9. ISBN 978-0-9738063-4-2. ^ James G., MacGregor (1975). Edmonton: A History. Hurtig. p. 17. ISBN 978-0-88830-100-0. ^ Switzer, Jan (March 4, 2015) [February 7, 2006]. "Fort Edmonton". The Canadian Encyclopedia (online ed.). Historica Canada. Archived from the original on May 3, 2014. ^ "Numbered Treaty Overview". Canadiana.org (Formerly Canadian Institute for Historical Microreproductions). Canada in the Making. Archived from the original on January 13, 2010. Retrieved November 16, 2009. The Numbered Treaties - also called the Land Cession or Post-Confederation Treaties - were signed between 1871 and 1921, and granted the federal government large tracts of land throughout the Prairies, Canadian North and Northwestern Ontario for white settlement and industrial use. In exchange for the land, Canada promised to give the Aboriginal peoples various items: cash, blankets, tools, farming supplies, and so on. The impact of these treaties can be still felt in modern times. ^ Filice, Michelle (August 2, 2016). "Numbered Treaties". The Canadian Encyclopedia (online ed.). Historica Canada. ^ "City of Edmonton, Treaty 6 Recognition Day". Edmonton.ca. March 31, 2017. Archived from the original on August 22, 2016. Retrieved April 14, 2017. ^ Monto, Tom (2011). Old Strathcona: Edmonton's Southside Roots. Crang. ISBN 978-1-895097-13-9. ^ City of Edmonton. "Population, Historical" (PDF). City of Edmonton. Archived from the original (PDF) on October 28, 2008. Retrieved February 26, 2007. ^ a b c Smith, P.J. ; Sholdice, Mark (October 24, 2017) [March 24, 2006]. "Edmonton". The Canadian Encyclopedia (online ed.). Historica Canada. Archived from the original on May 3, 2014. ^ "Edmonton, Alberta (2004)". Canadian Railway Hall of Fame. Archived from the original on July 26, 2010. Retrieved May 3, 2009. ^ City of Edmonton. "Ward System (1970 – Present)". City of Edmonton. Archived from the original on September 22, 2010. Retrieved March 23, 2009. ^ City of Edmonton. "Population, Historical" (PDF). City of Edmonton. Archived (PDF) from the original on October 28, 2008. Retrieved February 26, 2007. ^ Monto (2011), pp. 346–349. ^ Monto (2011), p. 354. ^ "History and Milestones". City of Edmonton. Archived from the original on September 26, 2014. Retrieved May 24, 2014. ^ Edmonton Airports. "History". Archived from the original on December 26, 2013. Retrieved May 3, 2014. ^ Canadian Geographical Journal. "Historical". Archived from the original on September 5, 2010. Retrieved March 1, 2009. ^ CBC News. "City Centre Airport shuts down". Archived from the original on November 10, 2015. Retrieved April 10, 2018. ^ a b Walls, Martha (2007). Edmonton Book of Everything. Maclntyre Purcell Publishing Inc. p. 129. ISBN 978-0-9738063-4-2. ^ Monto (2011), pp. 433, 164. ^ Monto (2011), p. 326. ^ "Recreation and Tourism Map" (PDF). Woodlands County. January 4, 2010. Archived from the original (PDF) on July 6, 2011. Retrieved January 1, 2012. ^ Jim Willet. "Edmonton River Valley". Edmonton River Valley. Archived from the original on June 8, 2009. Retrieved February 27, 2009. ^ The Canadian Heritage Rivers System. "North Saskatchewan". Archived from the original on April 14, 2012. Retrieved March 6, 2009. ^ Herzog, Lawrence. "Industry on the river". Real Estate Weekly. Archived from the original on September 8, 2013. Retrieved March 6, 2009. ^ "Prairies Ecozone". Ecological Framework of Canada. Ecological Framework of Canada. Archived from the original on May 29, 2016. Retrieved May 14, 2016. ^ "Canadian Aspen forests and parklands". WEF. World Wildlife Foundation. Archived from the original on June 3, 2016. Retrieved May 14, 2016. ^ Mining Exploration News. "Project of Gold Copper Mine Exploration Near Edmonton Delay". Archived from the original on October 7, 2008. Retrieved March 6, 2009. ^ "Climate Regions". FTP Home - Natural Resources Canada Archives. Natural Resources Canada. Archived from the original (Image (JPE) FTP) on September 9, 2015. Retrieved March 26, 2016. ^ "Plant Hardiness Zone by Municipality". Natural Resources Canada. Government of Canada. Archived from the original on March 13, 2016. Retrieved March 26, 2016. ^ Liz Osborn. "Coldest Canadian Cities in Winter". Current Results Publishing Ltd. Archived from the original on August 5, 2009. Retrieved October 8, 2009. The cities included in these rankings are Canada's largest metropolitan areas. These are the 33 urban regions that had over 100,000 people according to the 2011 census by Statistics Canada. The temperature data are averages of weather measurements made from 1981 to 2010. ^ a b c d e f g h i "Edmonton City Centre Airport". Canadian Climate Normals 1981−2010. Environment Canada. August 19, 2013. Archived from the original on December 20, 2016. Retrieved May 13, 2016. ^ a b "Edmonton City Centre Airport". Canadian Climate Normals 1981−2010. Environment Canada. Retrieved January 23, 2016. ^ "Climate Data for June 1937 for city of Edmonton". Climate Data Almanac. Environment Canada. February 17, 2016. Archived from the original on February 2, 2017. Retrieved February 17, 2016. ^ a b "Hourly Data Report for July 2, 2013". Historical Climate Data. Environment Canada. Archived from the original on February 5, 2016. Retrieved January 30, 2016. ^ Classen, Josh. "Hot, humid and stormy - July 2, 2013". CTV News Edmonton. Archived from the original on February 4, 2016. Retrieved January 30, 2016. ^ "January 1886". Climate Data Almanac. Environment Canada. September 22, 2015. Archived from the original on June 10, 2016. Retrieved May 14, 2016. 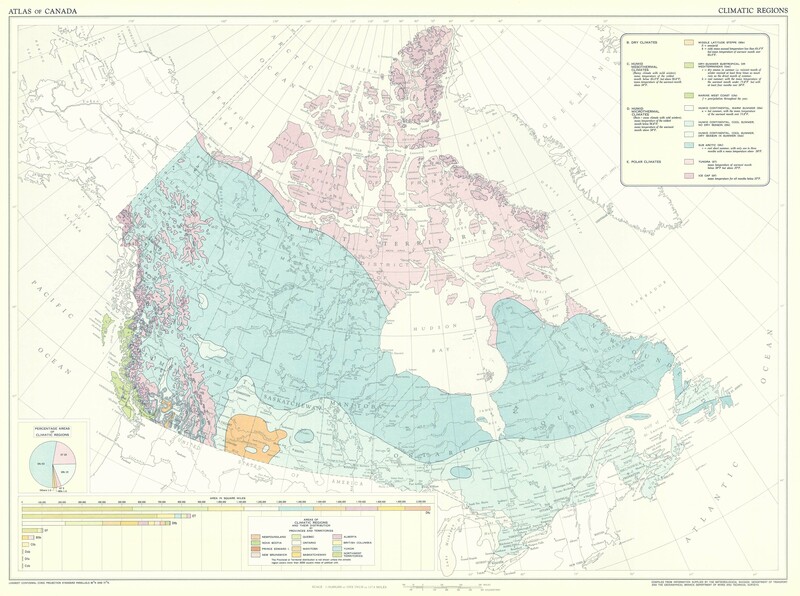 ^ "Frost Chart for Canada". Frost Chart for Canada. The Old Farmer's Almanac. September 20, 2010. Archived from the original on October 22, 2010. Retrieved September 20, 2010. ^ Walls, Martha (2007). Edmonton Book of Everything. Maclntyre Purcell Publishing Inc. p. 62. ISBN 978-0-9738063-4-2. ^ "Advanced options and sun angles". National Research Council Canada. Archived from the original on January 21, 2013. Retrieved March 18, 2013. ^ "Sunniest Year Round". Web.archive.org. March 14, 2012. Archived from the original on April 15, 2012. Retrieved June 2, 2016. ^ "Daily Data Report for December 2011". Environment Canada. Archived from the original on May 11, 2013. Retrieved September 30, 2012. ^ "Daily Data Report for January 2012". Environment Canada. Archived from the original on May 11, 2013. Retrieved September 30, 2012. ^ "Daily Data Report for February 2012". Environment Canada. Archived from the original on May 11, 2013. Retrieved September 30, 2012. ^ "Daily Data Report for March 2012". Environment Canada. Archived from the original on May 11, 2013. Retrieved September 30, 2012. ^ "Atlas of the Edmonton Tornado and Hailstorm, 1987". University of Alberta. Archived from the original on September 27, 2016. Retrieved June 7, 2016. ^ "Canadian National Tornado Database: Verified Events (1980-2009) - Public". Environment Canada Data. Archived from the original on December 21, 2016. Retrieved August 6, 2016. ^ "Thirty years after deadly Edmonton tornado, storms remain difficult to track". CBC News. Archived from the original on March 7, 2018. Retrieved January 30, 2018. ^ Graney, Juris (July 29, 2016). "All We Have Learned: 29 Years After Black Friday, Alberta's Worst Tornado Disaster". Edmonton Journal. Archived from the original on February 1, 2018. Retrieved January 30, 2018. ^ "1987 Edmonton tornado". CBC Digital Archives. CBC. May 23, 2013. Archived from the original on October 7, 2014. Retrieved July 19, 2014. ^ Elizabeth Withey (July 31, 2007). "Wanted: new slogan for Edmonton". Edmonton Journal. Postmedia Network. ^ "The Edmonton Hailstorm of 2004" (PDF). University of Alberta, Meteorological Service of Canada. Retrieved April 16, 2011. ^ CBC (July 12, 2004). "Adjusters assess storm damage to West Edmonton Mall". CBC News. Archived from the original on March 9, 2007. Retrieved February 27, 2009. ^ "Edmonton". Canadian Climate Data. Environment Canada. September 22, 2015. Archived from the original on June 10, 2016. Retrieved April 16, 2016. ^ a b "Population and dwelling counts, for census metropolitan areas, 2011 and 2006 censuses". Statistics Canada. February 8, 2012. Archived from the original on June 22, 2012. Retrieved February 8, 2012. ^ "Census Profile, Geographic hierarchy: Edmonton (Census metropolitan area)". Statistics Canada. July 16, 2012. Archived from the original on February 7, 2013. Retrieved November 24, 2012. ^ "About the Regional Evaluation Framework (REF)" (PDF). Capital Region Board. Archived from the original (PDF) on March 25, 2013. Retrieved November 24, 2012. ^ "Infrastructure". Port Alberta. Archived from the original on July 15, 2011. Retrieved May 10, 2012. ^ "Capital Region Land Use Plan" (PDF). Capital Region Board. March 12, 2009. Archived from the original (PDF) on March 25, 2013. Retrieved November 24, 2012. ^ a b "Alberta's Industrial Heartland: Eco Industrial Master Plan" (PDF). Alberta's Industrial Heartland Association. November 1, 2007. Retrieved November 24, 2012. ^ Plunkett, T.J.; Lightbody, James (1982). "Tribunals, Politics, and the Public Interest: The Edmonton Annexation Case". Canadian Public Policy. University of Toronto Press. 8 (2): 207–221. doi:10.2307/3550157. JSTOR 3550157. ^ "Edmonton shelves airport annexation talks". Leduc Representative. Sun Media. July 14, 2005. ^ Province of Alberta (April 30, 1964). "Board Order No. 1234" (PDF). Archived (PDF) from the original on July 14, 2011. Retrieved February 11, 2010. ^ Province of Alberta (June 11, 1981). "Order in Council (O.C.) No. 538/81" (PDF). Archived (PDF) from the original on July 14, 2011. Retrieved February 11, 2010. ^ Province of Alberta (April 15, 2008). "Order in Council (O.C.) No. 127/2008". Archived from the original on July 16, 2011. Retrieved February 11, 2010. ^ Stolte, Elise (March 5, 2013). "Edmonton wants to annex 15,600 hectares of Leduc County, including airport". Edmonton Journal. Postmedia Network. Archived from the original on March 8, 2013. Retrieved March 5, 2013. ^ "Proposed Leduc County Annexation :: City of Edmonton". Edmonton.ca. December 6, 2016. Archived from the original on December 1, 2016. Retrieved April 14, 2017. ^ "Neighbourhoods (data plus kml file)". City of Edmonton. Archived from the original on May 12, 2012. Retrieved September 10, 2012. ^ a b "The Way We Grow: Municipal Development Plan Bylaw 15100" (PDF). City of Edmonton. June 23, 2010. Archived (PDF) from the original on March 13, 2016. Retrieved July 19, 2014. ^ a b c d "Edmonton Developing and Planned Neighbourhoods, 2011" (PDF). City of Edmonton. Archived from the original (PDF) on September 4, 2013. Retrieved September 10, 2012. ^ a b c "City of Edmonton Wards & Standard Neighbourhoods" (PDF). City of Edmonton. Archived from the original (PDF) on May 3, 2014. Retrieved September 10, 2012. ^ "City of Edmonton Plans in Effect Map" (PDF). City of Edmonton. October 2013. Archived from the original (PDF) on March 26, 2014. Retrieved May 3, 2014. ^ "Mill Woods Town Centre Neighbourhood Area Structure Plan (Office Consolidation)" (PDF). City of Edmonton. December 2006. Archived from the original (PDF) on May 3, 2014. Retrieved November 28, 2012. ^ "Mill Woods Development Concept" (PDF). City of Edmonton. Archived from the original (PDF) on May 3, 2014. Retrieved February 11, 2011. ^ "Community Leagues". Mill Woods Presidents' Council. Archived from the original on June 27, 2013. Retrieved November 28, 2012. ^ "Lee Ridge Neighbourhood Profile" (PDF). City of Edmonton. Archived from the original (PDF) on March 26, 2014. Retrieved November 27, 2012. ^ City of Edmonton, Planning. "Fort Road Old Town Master Plan". City of Edmonton. Archived from the original on May 1, 2012. Retrieved May 10, 2012. ^ Century Park Club and Residences. "centuryCentral". ProCura. Archived from the original on October 12, 2007. Retrieved October 27, 2007. ^ City of Edmonton. "Century Park to Ellerslie Road Preliminary Engineering" (PDF). City of Edmonton. Archived from the original (PDF) on March 26, 2014. Retrieved February 27, 2009. ^ "City Centre Redevelopment Area Redevelopment Plan" (PDF). City of Edmonton. May 2012. Archived from the original (PDF) on March 26, 2014. Retrieved November 24, 2012. ^ a b "Edmonton's Industrial Neighbourhoods". City of Edmonton. Archived from the original on January 25, 2013. Retrieved November 26, 2012. ^ "Edmonton Energy and Technology Park". City of Edmonton. Archived from the original on March 26, 2015. Retrieved May 3, 2014. ^ a b The City of Edmonton. "Business Revitalization Zones". Archived from the original on May 3, 2014. Retrieved May 3, 2014. ^ "Table 7: Population of cities, towns and villages for the province of Alberta in census years 1901–26, as classed in 1926". Census of Prairie Provinces, 1926. Census of Alberta, 1926. Ottawa: Government of Canada. 1927. pp. 565–567. ^ "Table 12: Population of Canada by provinces, counties or census divisions and subdivisions, 1871–1931". Census of Canada, 1931. Ottawa: Government of Canada. 1932. pp. 98–102. ^ "Table 4: Population in incorporated cities, towns and villages, 1901–1936". Census of the Prairie Provinces, 1936. Volume I: Population and Agriculture. Ottawa: Dominion Bureau of Statistics. 1938. pp. 833–836. ^ "Table 6: Population by census subdivisions, 1926–1946". Census of the Prairie Provinces, 1946. Volume I: Population. Ottawa: Dominion Bureau of Statistics. 1949. pp. 401–414. ^ "Population and Dwelling Counts, for Canada, Provinces and Territories, and Census Divisions, 2001 and 1996 Censuses – 100% Data (Alberta)". Statistics Canada. Retrieved April 1, 2012. ^ "Population and dwelling counts, for Canada, provinces and territories, and census subdivisions (municipalities), 2006 and 2001 censuses – 100% data (Alberta)". Statistics Canada. January 6, 2010. Retrieved April 1, 2012. ^ "Population and dwelling counts, for Canada, provinces and territories, and census subdivisions (municipalities), 2011 and 2006 censuses". Statistics Canada. February 8, 2012. Retrieved February 8, 2012. ^ "Population and dwelling counts, for Canada, provinces and territories, and census subdivisions (municipalities), 2016 and 2011 censuses – 100% data (Alberta)". Statistics Canada. February 8, 2017. Retrieved February 8, 2017. ^ 2015 Municipal Affairs Population List (PDF). Alberta Municipal Affairs. ISBN 978-1-4601-2630-1. Archived (PDF) from the original on October 4, 2016. Retrieved January 28, 2017. ^ "Summary of All Questions: 2016 Municipal Census" (PDF). City of Edmonton. Archived from the original (PDF) on August 31, 2016. Retrieved August 31, 2016. ^ "Municipal Census Policy" (PDF). City of Edmonton. May 15, 2018. Archived (PDF) from the original on August 30, 2018. Retrieved August 30, 2018. ^ "Population and dwelling counts, for Canada, provinces and territories, and census subdivisions (municipalities), 2011 and 2006 censuses". Statistics Canada. February 8, 2012. Archived from the original on August 17, 2012. Retrieved February 8, 2012. ^ "Census Profile: Edmonton, City, Alberta (Census subdivision)". Statistics Canada. November 2, 2012. Archived from the original on February 7, 2013. Retrieved January 12, 2013. ^ "Population of census metropolitan areas". Statistics Canada. Archived from the original on December 16, 2016. ^ "Census metropolitan area (CMA) and census agglomeration (CA)". Statistics Canada. August 23, 2012. Archived from the original on February 7, 2013. Retrieved January 12, 2013. ^ "Census Tract by CMA / CA (Edmonton)" (PDF). Statistics Canada. November 16, 2011. Archived (PDF) from the original on February 7, 2013. Retrieved January 12, 2013. ^ "Population and dwelling counts, for Canada, provinces and territories, and population centres, 2011 and 2006 censuses (Alberta)". Statistics Canada. February 8, 2012. Archived from the original on February 7, 2013. Retrieved February 8, 2012. ^ a b "Census Profile, 2016 Census: Edmonton, City [Census subdivision], Alberta and Division No. 11, Census division [Census division], Alberta – Ethnic origin". Statistics Canada. April 24, 2018. Retrieved January 6, 2019. ^ a b "Census Profile, 2016 Census: Edmonton, City [Census subdivision], Alberta and Division No. 11, Census division [Census division], Alberta – Visible minority". Statistics Canada. April 24, 2018. Retrieved January 6, 2019. ^ Statistics Canada (February 1, 2007). "2001 Census - Religion by population in Edmonton". Government of Canada. Archived from the original on December 9, 2008. Retrieved March 26, 2009. ^ "About Us". Bahá'í Community of Edmonton. Archived from the original on September 4, 2013. Retrieved November 19, 2012. ^ "Al-Rashid Mosque". The Friday Bulletin. Archived from the original on March 5, 2009. Retrieved February 28, 2009. ^ "Hindu Society of Alberta". The Friday Bulletin. Archived from the original on January 14, 2009. Retrieved February 28, 2009. ^ Maha Ganapathy Temple (Hindu Temple). "Maha Ganapathy Temple (Hindu Temple)". Archived from the original on February 27, 2009. Retrieved February 28, 2009. ^ Jewish Federation of Edmonton. "Jewish Federation of Edmonton". Archived from the original on May 28, 2008. Retrieved February 28, 2009. ^ Synagogues in Edmonton. "Synagogues in Edmonton". Archived from the original on February 12, 2009. Retrieved February 28, 2009. ^ "Welcome to the Unitarian Church of Edmonton". Unitarian Church of Edmonton. Archived from the original on October 27, 2009. Retrieved May 4, 2010. ^ "Welcome to Westwood". Westwood Unitarian Congregation. Archived from the original on April 8, 2010. Retrieved March 28, 2010. ^ Canadian Unitarian Council. "Congregations". Archived from the original on May 23, 2014. Retrieved May 3, 2014. ^ "Inventory of Major Projects (Capital Region)" (CSV). Government of Alberta. Archived from the original on February 25, 2014. Retrieved March 5, 2014. ^ OMAC. "Edmonton Market Profile". Archived from the original on April 24, 2016. Retrieved March 6, 2009. ^ "Alberta Fact Sheet" (PDF). Government of Alberta. Archived from the original (PDF) on December 5, 2010. Retrieved October 26, 2009. ^ University of Alberta Faculty of Engineering. "U of A Receives $15 Million for Nanosystems Research Facility". University of Alberta Faculty of Engineering. Archived from the original on May 12, 2006. Retrieved March 6, 2009. ^ Alberta's Real Estate History. "The Era of Urban Growth (1961–1981)". Archived from the original on December 8, 2010. Retrieved March 6, 2009. ^ The Canadian Encyclopedia. "Canadian Commercial Bank". Archived from the original on May 3, 2014. Retrieved May 3, 2014. ^ Canadian Western Bank Group. "Canadian Western Bank Group". Archived from the original on March 3, 2009. Retrieved March 6, 2009. ^ Financial Services, Edmonton. "Financial Services, Edmonton". Archived from the original on February 18, 2009. Retrieved March 6, 2009. ^ PCL. "PCL History". Archived from the original on April 26, 2012. Retrieved May 10, 2012. ^ Hoover's Company Directory. "Hoover's Company Directory". Edmonton. Archived from the original on February 8, 2010. Retrieved March 6, 2009. ^ Hicks, Graham. "Edmonton and the Prince Rupert Container Port". Edmonton Sun. Archived from the original on May 10, 2008. Retrieved March 6, 2009. ^ Eastern Connecticut State University (January 2007). "World's Largest Shopping Malls". Archived from the original on March 5, 2012. Retrieved December 12, 2013. ^ Emporis (February 7, 2012). "World's 10 biggest shopping malls" (PDF) (Press release). Archived from the original (PDF) on November 13, 2013. Retrieved December 12, 2013. ^ Edmonton Shopping Malls. "Malls In Edmonton". Archived from the original on May 12, 2008. Retrieved March 7, 2009. ^ South Edmonton Common. "South Edmonton Common". Archived from the original on February 12, 2008. Retrieved February 28, 2009. ^ Collier International. "Windermere Power Centre". Archived from the original on April 12, 2013. Retrieved May 10, 2012. ^ Real Estate Weekly. "The Plays the Thing in Old Strathcona". Archived from the original on September 8, 2013. Retrieved March 7, 2009. ^ Goyette, Linda; Roemmich, Carolina Jakeway (2005). Edmonton in Our Own Words. Edmonton: University of Alberta. ISBN 9780888644497. Archived from the original on December 24, 2017. Retrieved April 14, 2017. ^ Francis Winspear Centre. "Winspear Centre History". Archived from the original on July 13, 2012. Retrieved June 22, 2012. ^ Edmonton Symphony Orchestra. "Support ESO – Reasons to Give". Archived from the original on June 25, 2012. Retrieved June 22, 2012. ^ The Canadian Encyclopedia. "Francis Winspear Centre for Music". Archived from the original on May 3, 2014. Retrieved May 3, 2014. ^ Citadel Theatre. "About Us". The Citadel Theatre. Archived from the original on December 3, 2014. Retrieved July 19, 2014. ^ "Edmonton is Cultural Capital of Canada". Canada.com. December 18, 2006. Archived from the original on June 26, 2014. Retrieved May 3, 2014. ^ Canadian Heritage. "Projects - Edmonton Cultural Capital of Canada". Archived from the original on October 2, 2014. Retrieved May 3, 2014. ^ Ukrainian Dnipro Ensemble of Edmonton. "Ukrainian Dnipro Ensemble of Edmonton". Archived from the original on May 3, 2014. Retrieved May 3, 2014. ^ Edmonton International Street Performer's Festival. "Edmonton International Street Performer's Festival". Archived from the original on February 17, 2010. Retrieved February 28, 2009. ^ a b c d Krishnan, Manisha (July 29, 2012). "Capital Ex to be named K-Days (Poll)". Edmonton Journal. Postmedia Network. Archived from the original on July 31, 2012. Retrieved July 29, 2012. ^ Capital EX. "Capital EX". Northlands. Archived from the original on May 12, 2010. Retrieved February 28, 2009. ^ "It's official: Red Deer will host the CFR for 10 years". CBC News. Archived from the original on February 16, 2018. Retrieved June 1, 2018. ^ Fringe Theatre Adventures. "Edmonton International Fringe Festival". Archived from the original on May 25, 2014. Retrieved May 24, 2014. ^ Edmonton Folk Music Festival. "Edmonton Folk Music Festival". Archived from the original on August 22, 2008. Retrieved March 7, 2009. ^ Edmonton Heritage Festival. "Edmonton Heritage Festival". Archived from the original on February 7, 2009. Retrieved March 7, 2009. ^ "Interstellar Rodeo launches in Hawrelak". CBC.ca. July 28, 2012. Archived from the original on May 25, 2014. Retrieved July 28, 2013. ^ Edmonton Dragon Boat Festival Association. "Edmonton Dragon Boat Festival". Archived from the original on October 6, 2008. Retrieved February 28, 2009. ^ "Deep Freeze". Deep Freeze. Retrieved January 24, 2019. ^ "Ice On Whyte | Edmonton's Winter Ice Carving Festival". Ice on Whyte. Retrieved January 25, 2019. ^ "Flying Canoë Volant | Explore Edmonton". Flying Canoë Volant | Explore Edmonton. Retrieved January 24, 2019. ^ "Silverskate Festival". Global News. Retrieved January 24, 2019. ^ Dulmage, Bill. "Alberta, Northern Alberta CKUA-AM (Educational), Edmonton, CKUA Radio Foundation". Radio Station History. Canadian Communications Foundation. Archived from the original on February 7, 2013. Retrieved January 5, 2013. ^ McIntosh, R. Dale; Berg, Wesley. "Music in Edmonton". The Encyclopedia of Music in Canada. The Canadian Encyclopedia. Archived from the original on March 1, 2014. Retrieved May 3, 2014. ^ "Edmonton Symphony Orchestra". Encyclopedia of Music in Canada. The Canadian Encyclopedia. Archived from the original on March 6, 2014. Retrieved May 3, 2014. ^ Hale, Marjorie; Spier, Susan; Nygaard King, Betty. "Robert Goulet". The Encyclopedia of Music in Canada. The Canadian Encyclopedia. Archived from the original on May 3, 2014. Retrieved May 3, 2014. ^ Sperounes, Sandra (December 30, 2005). "Edmonton music scene a knockout out out out in 2005". Edmonton Journal. Retrieved January 5, 2013. ^ oldstrathcona.ca. "Revitalization". oldstrathcona.ca. Archived from the original on July 6, 2011. Retrieved March 6, 2009. ^ "The First Steps of Strathcona". Archived from the original on April 15, 2012. Retrieved December 7, 2011. ^ The City of Edmonton. "Welcome to Old Strathcona". Archived from the original on March 1, 2009. Retrieved March 6, 2009. ^ Metro Cinema. "Metro Cinema". Archived from the original on February 25, 2009. Retrieved February 28, 2009. ^ a b Edmonton's Official Tourism Website. "Scenic Settings". Edmonton Economic Development Corporation. Archived from the original on October 25, 2013. Retrieved May 3, 2014. ^ City of Edmonton Transportation (September 13, 2013). "Edmonton Bicycle Map" (PDF). City of Edmonton. Archived from the original (PDF) on March 4, 2016. Retrieved July 19, 2014. ^ Heritage Community Foundation. "Parkland and environment". Alberta Online Encyclopedia. Archived from the original on October 23, 2007. Retrieved February 27, 2009. ^ The City of Edmonton. "Selection List of Common Tree Species". Archived from the original on March 31, 2012. Retrieved February 27, 2009. ^ Barkley, Shelley (May 22, 2007). "Juglans sp. (Butternut/Walnut)". Government of Alberta. Archived from the original on May 6, 2010. Retrieved October 27, 2007. ^ Edmonton Golf. "Parkland and environment". Archived from the original on March 1, 2009. Retrieved February 27, 2009. ^ "Edmonton – Ice and Snow". City of Edmonton. Archived from the original on September 21, 2010. Retrieved November 21, 2009. ^ "Larch Sanctuary". Edmonton & Area Land Trust. Retrieved January 4, 2019. ^ "Potential Forest and Farmland". Edmonton & Area Land Trust. Retrieved January 4, 2019. ^ City of Edmonton. "volunteer opportunities". Archived from the original on January 28, 2015. Retrieved March 4, 2014. ^ "Museums & Historical Sites". City of Edmonton. Archived from the original on September 5, 2013. Retrieved May 10, 2012. ^ "More free tickets available Saturday for Royal Alberta Museum opening | CBC News". CBC. Retrieved November 12, 2018. ^ Valley Zoo. "Valley Zoo". City of Edmonton. Archived from the original on May 25, 2014. Retrieved May 24, 2014. ^ "Prince of Wales Armouries Heritage Centre". City of Edmonton. Archived from the original on August 25, 2016. Retrieved August 19, 2016. ^ Telephone Historical Centre. "Telephone Historical Centre". Archived from the original on July 16, 2011. Retrieved July 27, 2011. ^ Alberta Railway Museum. "Alberta Railway Museum". Archived from the original on February 19, 2009. Retrieved February 28, 2009. ^ Canada's Historic Places. "John walter museum and historical area". Archived from the original on February 12, 2009. Retrieved February 28, 2009. ^ University of Alberta. "Museums". Archived from the original on March 2, 2009. Retrieved February 28, 2009. ^ "Edmonton's Architectural Heritage". Edmontonsarchitecturalheritage.ca. January 31, 2009. Archived from the original on October 1, 2016. Retrieved April 14, 2017. ^ "Who We Are". Art Gallery of Alberta. Archived from the original on April 28, 2014. Retrieved May 3, 2014. ^ 124 Street. "Gallery Walk". Archived from the original on May 3, 2014. Retrieved May 3, 2014. ^ Edmonton Public Library. "Sports History in Edmonton". Edmonton Public Library. Archived from the original on October 15, 2006. Retrieved February 27, 2009. ^ "Welcome to the home of the Oil City Derby Girls!". Oilcityderbygirls.ca. Archived from the original on January 3, 2007. Retrieved January 31, 2012. ^ "Don't Play Nice, Play E-Ville!". e-villederby.com. Archived from the original on April 4, 2012. Retrieved April 9, 2012. ^ CBC News (January 12, 2011). "Edmonton Indy back this summer". Archived from the original on January 13, 2011. Retrieved January 18, 2011. ^ Edmonton Super Summer. "2005 World Masters Games". Archived from the original on January 22, 2013. Retrieved February 27, 2009. ^ Rahul Vaidyanath. "FIFA U-20 World Cup". The Epoch Times. Archived from the original on June 12, 2012. Retrieved February 27, 2009. ^ "United 2026 bid book" (PDF). united2026.com. Retrieved April 30, 2018. ^ "Ward System". City of Edmonton. July 22, 2009. Archived from the original on September 22, 2010. Retrieved August 5, 2009. ^ "Members Information". Legislative Assembly of Alberta. Archived from the original on April 10, 2010. Retrieved March 27, 2010. ^ Sheila Pratt (May 6, 2015). "NDP sweep Edmonton ridings". Edmonton Journal. Archived from the original on August 26, 2016. Retrieved May 28, 2015. ^ "Rachel Notley sworn in as Alberta premier, reveals cabinet Archived May 13, 2016, at the Wayback Machine," CBC News May 24, 2015. ^ "History of the EPS". About EPS. Edmonton Police Service. Archived from the original on January 2, 2013. Retrieved January 13, 2013. ^ Savoie, Josée (March 2008). "Neighbourhood Characteristics and the Distribution of Crime: Edmonton, Halifax and Thunder Bay" (PDF). Crime and Justice Research Paper Series. Ottawa: Statistics Canada: 11–12. ISSN 1707-5203. Archived (PDF) from the original on February 7, 2013. ^ a b c Boyce, Jillian; Cotter, Adam; Perreault, Samuel (July 23, 2014). "Police-reported crime statistics in Canada, 2013" (PDF). Statistics Canada, Canadian Centre for Justice Statistics. pp. 13 & 30. Archived (PDF) from the original on November 23, 2015. Retrieved May 3, 2015. ^ Alberta's Aviation History. "CFB Namao". Archived from the original on October 9, 2008. Retrieved February 28, 2009. ^ Government of Canada. "Proceedings of the Standing Senate Committee on National Security and Defence". Archived from the original on May 10, 2012. Retrieved May 10, 2012. ^ Government of Canada. "HMCS Nonsuch". Archived from the original on June 30, 2013. Retrieved November 20, 2012. ^ Government of Canada. "Cadets Canada". Archived from the original on May 3, 2014. Retrieved May 3, 2014. ^ Edmonton Airports. "Strategic Location" (PDF). Edmonton Airports. Archived from the original (PDF) on July 11, 2011. Retrieved November 1, 2007. ^ Edmonton Airports (November 1, 2007). "Port Alberta". Edmonton Airports. Archived from the original on October 17, 2007. Retrieved November 1, 2007. ^ Via Rail Canada. "Edmonton train station". Via Rail Canada. Archived from the original on May 3, 2014. Retrieved May 3, 2014. ^ The City of Edmonton. "History of ETS". Archived from the original on March 14, 2016. Retrieved August 14, 2012. ^ a b "City of Ottawa – Presentations (June 19): Edmonton's LRT / 280,000 per day for bus" (PDF). Archived from the original (PDF) on July 6, 2011. Retrieved June 2, 2016. ^ "2006 Community Profiles – Census Metropolitan Area/Census Agglomeration". 2.statcan.ca. December 6, 2010. Archived from the original on March 16, 2012. Retrieved January 31, 2012. ^ "City Council Minutes – June 18, 2008". City of Edmonton. June 18, 2008. Archived from the original on July 6, 2011. Retrieved September 19, 2010. ^ "Last Day of Trolley Operations". City of Edmonton. Archived from the original on June 16, 2011. Retrieved September 5, 2009. ^ "Trolleys reach end of the line". Edmonton Journal. June 19, 2008. Archived from the original on July 28, 2011. Retrieved September 19, 2010. ^ a b Edmonton Transit System's LRT History. "Edmonton Transit System's LRT History". Archived from the original on October 8, 2008. Retrieved March 7, 2009. ^ Edmonton's Light Rail Transit From Concept to Operations. "Edmonton's Light Rail Transit From Concept to Operations". Retrieved March 7, 2009. ^ a b "South LRT Extension" (PDF). City of Edmonton. Archived from the original (PDF) on April 24, 2013. Retrieved November 27, 2012. ^ Edmonton Transit System Advisory Board. "Edmonton Transit System Advisory Board" (PDF). Archived from the original (PDF) on November 17, 2009. Retrieved February 27, 2009. ^ Trans Canada Yellowhead Highway Association. "Trans Canada Yellowhead Highway Association". Archived from the original on September 28, 2007. Retrieved March 7, 2009. ^ Government of Alberta. "Alberta Highway 2" (PDF). Archived (PDF) from the original on July 5, 2010. Retrieved March 23, 2009. ^ The City of Edmonton. "Trails & Pathways". Archived from the original on May 3, 2014. Retrieved May 3, 2014. ^ EPCOR. "EPCOR UV". Archived from the original on August 31, 2010. Retrieved November 2, 2010. ^ City of Edmonton. "Edmonton Composting Facility". Archived from the original on September 21, 2010. Retrieved February 27, 2009. ^ City of Edmonton. "Edmonton Composting Facility". Archived from the original on September 22, 2010. Retrieved February 27, 2009. ^ Edmonton Waste Management Centre of Excellence. "Edmonton Waste Management Centre of Excellence". Archived from the original on January 6, 2009. Retrieved February 28, 2009. ^ Capital Health. "Hospitals & Primary Care Facilities". Archived from the original on March 2, 2009. Retrieved February 27, 2009. ^ Alberta Health Services (October 10, 2013). "AHS Edmonton Zone Brochure" (PDF). Archived (PDF) from the original on April 8, 2016. Retrieved May 24, 2014. ^ Edmonton Catholic Schools. "Edmonton Catholic Schools". Archived from the original on February 23, 2009. Retrieved February 28, 2009. ^ "Edmonton Academy". Edmonton Academy. Archived from the original on May 14, 2008. Retrieved February 28, 2009. ^ "About Us". Progressive Academy. Archived from the original on April 11, 2013. Retrieved January 24, 2013. ^ "Welcome to Tempo School". Tempo School. Archived from the original on February 9, 2013. Retrieved January 24, 2013. ^ Edmonton Society for Christian Education. "Edmonton Society for Christian Education". Archived from the original on September 25, 2012. Retrieved February 28, 2009. ^ Edmonton Society for Christian Education. "Edmonton Society for Christian Education". Archived from the original on September 25, 2012. Retrieved April 18, 2010. ^ Millwoods Christian School. "Millwoods Christian School". Archived from the original on January 25, 2010. Retrieved April 18, 2010. ^ Home Schooling in Edmonton. "Home Schooling in Edmonton". Archived from the original on January 11, 2011. Retrieved February 28, 2009. ^ a b "Publicly Funded Institutions". Alberta Enterprise and Advanced Education. Archived from the original on December 6, 2012. Retrieved November 19, 2012. ^ "UA Locations". Athabasca University. Archived from the original on November 25, 2012. Retrieved November 19, 2012. ^ "Faculty of Management Edmonton Campus". University of Lethbridge. Archived from the original on January 15, 2013. Retrieved November 19, 2012. ^ "University Governance". University of Alberta. Archived from the original on November 12, 2012. Retrieved November 19, 2012. ^ "Financial -UAlberta Facts". University of Alberta. Retrieved July 19, 2014. ^ "Students at a Glance - UAlberta Facts". University of Alberta. Retrieved July 19, 2014. ^ "Distinctively U of A - UAlberta Facts". University of Alberta. Archived from the original on July 2, 2014. Retrieved July 19, 2014. ^ "Fast Facts". MacEwan University. June 2012. Archived from the original on November 16, 2012. Retrieved November 19, 2012. ^ "About NAIT: Quick Facts". Northern Alberta Institute of Technology. Archived from the original on January 20, 2013. Retrieved November 19, 2012. ^ "NorQuest by the Numbers" (PDF). NorQuest College. Archived (PDF) from the original on April 4, 2016. Retrieved April 12, 2016. ^ "Taylor University College and Seminary". Taylor University College and Seminary. Archived from the original on February 16, 2009. Retrieved February 28, 2009. ^ "Yellowhead Tribal College". Yellowhead Tribal College. Retrieved April 10, 2012. ^ "Existing Alberta Television Stations". Television Stations Listings. Canadian Communications Foundation. Archived from the original on July 24, 2005. Retrieved January 6, 2013. ^ "Existing Northern Alberta Radio Stations". Radio Station history. Canadian Communications Foundation. Archived from the original on July 24, 2005. Retrieved January 6, 2013. ^ "Alberta". Every daily newspaper in Canada. Fishwrap.ca. Archived from the original on May 27, 2013. Retrieved January 6, 2013. ^ "Edmonton Journal cutting Sunday paper". CBC.ca. May 28, 2012. Archived from the original on May 25, 2014. Retrieved January 6, 2013. ^ "About". Free Daily News Group Inc. Archived from the original on January 13, 2013. Retrieved January 6, 2013. ^ "Newsweekly Directory". Association of Alternative Newsmedia. Retrieved January 6, 2013. ^ "AWNA Member Listing". Alberta Weekly Newspaper Association. Archived from the original on August 12, 2013. Retrieved January 6, 2013. ^ "Infofile Detail – Sister Cities". Edmonton Public Library. Archived from the original on April 5, 2016. Retrieved May 19, 2012. ^ "Sister Cities". City of Edmonton. 2003. Archived from the original on October 6, 2003. Retrieved May 19, 2012. ^ "Edmonton, Canada". Sister Cities of Nashville. Archived from the original on May 22, 2018. Retrieved May 22, 2018. ^ "World of Friendship reception". The Tennessean. Retrieved May 22, 2018. ^ a b Aubrey, Merrily K (2004). Naming Edmonton : from Ada to Zoie. (Edmonton Historical Board. Heritage Sites Committee) University of Alberta Press. pp. 132, 277. ISBN 0-88864-423-X. Archived from the original on December 17, 2014. Retrieved March 26, 2016. ^ "Sister Cities of Nashville". SCNashville.org. Archived from the original on July 28, 2011. Retrieved August 3, 2011. ^ "Gangwon – Alberta Relations" (PDF). Government of Alberta. Archived from the original (PDF) on March 26, 2014. Retrieved January 6, 2013. ^ "Vriendschap Bergen op Zoom met Edmonton (Friendship Bergen op Zoom met Edmonton)" (in Dutch). BN DeStem. BN DeStem. July 21, 2013. Archived from the original on April 1, 2016. Retrieved March 26, 2016. ^ Based on station coordinates provided by Environment Canada, climate data was collected near downtown Edmonton from July 1880 to June 1943, and at Blatchford Field from October 1937 to present. Aubrey, Merrily K (2004). Naming Edmonton : from Ada to Zoie. (Edmonton Historical Board. Heritage Sites Committee) University of Alberta Press. ISBN 0-88864-423-X. ASIN 088864423X. Retrieved April 13, 2017. Cashman, Tony (2002). Edmonton: stories from the river city. University of Alberta Press. ISBN 0-88864-392-6. ASIN 0888643926. Retrieved May 10, 2012. Merrett, Kathryn Chase (2001). A history of the Edmonton City Market, 1900–2000. University of Calgary Press. ISBN 1-55238-052-1. ASIN 1552380521. Retrieved May 10, 2012. Rooke, Charlene (2001). Edmonton: secrets of the city. Arsenal Pulp Press. ISBN 1-55152-103-2. ASIN 1551521032. Retrieved April 13, 2017. Walls, Martha (2007). Edmonton Book of Everything. Maclntyre Purcell Publishing Inc. ISBN 978-0-9738063-4-2. ASIN 0973806346. Retrieved May 3, 2014. MacGregor, James G. (1975). Edmonton:a history. Hurtig. ISBN 0-888301-00-6. ASIN 0888301006. Retrieved April 13, 2017. The 2006 Stanley Cup Finals was the championship series of the National Hockey League's (NHL) 2005–06 season, and the culmination of the 2006 Stanley Cup playoffs. It was contested between the Eastern Conference champion Carolina Hurricanes and the Western Conference champion Edmonton Oilers. It was Carolina's second appearance in the final, the other being in 2002, a loss to the Detroit Red Wings. It was Edmonton's seventh appearance in the Final and their first since their fifth Cup win in 1990. It was also the first (and to date only) finals matchup between two former World Hockey Association franchises. Carolina defeated Edmonton in seven games to win the franchise's first Stanley Cup and become the tenth post-1967 expansion team and third former WHA team to win the Cup. Carolina's 2006 win was also the teams' second league championship (the club, then known as the New England Whalers won the WHA Championship in 1973). The 2015 general election (formally the 29th general election) of Alberta, Canada, took place on May 5, 2015, following a request of Premier Jim Prentice to the Lieutenant Governor of Alberta Donald Ethell to dissolve the Legislative Assembly on April 7, 2015. This election elected members to the 29th Alberta Legislature. It was only the fourth time in provincial history that saw a change of government, and was the last provincial election for both the Alberta Progressive Conservative and Wildrose Parties, which would merge in 2017 to form the United Conservative Party (although each would run a token candidate in the 2019 election). The provincial Election Act fixed the election date to a three-month period between March 1 and May 31 in the fourth calendar year after the preceding election day – in this case, April 23, 2012. However, the Act does not affect the powers of the Lieutenant Governor to dissolve the Legislature before this period.The Progressive Conservative Association of Alberta (PCs) had a majority in the outgoing Assembly. As a result of the election, the Alberta New Democratic Party (NDP) were elected to a majority government under leader Rachel Notley. The NDP formed Government for the first time in Alberta history, ousting the PCs, who were reduced to third place in seats. Prentice resigned as PC leader and MLA for Calgary-Foothills on election night. The Progressive Conservatives had won every provincial election since the 1971 election, making them the longest-serving provincial government in Canadian history. This was only the fourth change of government in Alberta since Alberta became a province in 1905, and one of the worst defeats a provincial government has suffered in Canada. It also marked the first time a left-of-centre political party had formed government in Alberta since the defeat of the United Farmers of Alberta in 1935 and the Depression-era radical monetary reform policies of William Aberhart's Social Credit government.The Wildrose Party under leader Brian Jean remained the Official Opposition, gaining four seats since 2012 despite winning 81,814 fewer votes and a 10.1% lower share of the popular vote than in the previous election. The Alberta Liberal Party and Alberta Party each won a single seat with Alberta Party leader Greg Clark becoming the party's first MLA. The Alberta Liberal Party lost four seats, only returning interim leader David Swann to the Legislative Assembly. The election is sometimes called the "Orange Chinook", a reference to the province's dramatic swing to the NDP, as well as the NDP's orange colour.Following the election, Notley and her cabinet were sworn in on May 24, 2015. The 2019 Alberta general election (formally the 30th general election) was held on April 16, 2019, to elect the 87 members of the Legislative Assembly of Alberta. In its first general election contest, the Jason Kenney-led United Conservative Party (UCP) won 54.8% of the popular vote and 63 seats, reducing Premier Rachel Notley's governing Alberta New Democratic Party (NDP) to Official Opposition with 24 seats. The United Conservative Party was formed in 2017 from a merger of the Progressive Conservative Party and the Wildrose Party after the NDP's victory in the 2015 election ended nearly 44 years of Progressive Conservative rule. According to unofficial results as of April 21, UCP took all but three seats in Calgary (except Calgary-Buffalo, Calgary-McCall and Calgary-Mountain View), one seat in Edmonton (Edmonton-South West) and all the rest of the districts in the province except Lethbridge-West and St. Albert. Other than the UCP seats, all the rest were won by the NDP, including all the seats in Edmonton (with the exception of Edmonton-South West). Two other parties that won seats in the 2015 election, the Alberta Party and the Alberta Liberals, failed to win any seats, making this election the first Alberta general election since 1993 where only two parties won seats. The Election Act fixes the election date to a three-month period, between March 1 and May 31 in the fourth calendar year after the preceding election day which in this case was May 5, 2015. However, this did not affect the powers of the Lieutenant Governor to dissolve the Legislative Assembly before this period.This election resulted in the highest voter turnout in decades at 71%, rising from 57% in the last general election held in 2015. Alberta ( (listen); French: [albɛʁta]) is a western province of Canada. With an estimated population of 4,067,175 as of 2016 census, it is Canada's fourth most populous province and the most populous of Canada's three prairie provinces. Its area is about 660,000 square kilometres (250,000 sq mi). Alberta and its neighbour Saskatchewan were districts of the Northwest Territories until they were established as provinces on September 1, 1905. The premier has been Rachel Notley since 2015. Alberta is bounded by the provinces of British Columbia to the west and Saskatchewan to the east, the Northwest Territories to the north, and the U.S. state of Montana to the south. Alberta is one of three Canadian provinces and territories to border only a single U.S. state and one of only two landlocked provinces. It has a predominantly humid continental climate, with stark contrasts over a year; but seasonal temperature average swings are smaller than in areas further east, due to winters being warmed by occasional chinook winds bringing sudden warming.Alberta's capital, Edmonton, is near the geographic centre of the province and is the primary supply and service hub for Canada's crude oil, the Athabasca oil sands and other northern resource industries.About 290 km (180 mi) south of the capital is Calgary, the largest city in Alberta. Calgary and Edmonton centre Alberta's two census metropolitan areas, both of which have populations exceeding one million, while the province has 16 census agglomerations.Tourist destinations in the province include Banff, Canmore, Drumheller, Jasper, Sylvan Lake and Lake Louise. The Alberta New Democratic Party (French: Nouveau Parti démocratique de l'Alberta), commonly shortened to Alberta's NDP, is a social-democratic political party in Alberta, Canada. It is the provincial Alberta affiliate of the federal New Democratic Party of Canada, and the successor to the Alberta section of the Co-operative Commonwealth Federation and the even earlier Alberta wing of the Canadian Labour Party and the United Farmers of Alberta. From the mid-1980s to 2004, the party abbreviated its name as the "New Democrats" (ND). The party served as Official Opposition in the Legislative Assembly of Alberta from 1986 to 1993. It was swept out of the legislature in 1993 and spent the next two decades in the political wilderness. While it returned to the legislature in 1997, it never won more than four seats until the 2015 election. Its time on the fringe of Alberta politics ended in 2015 when it won 54 of the 87 seats in the legislature to form the government of Alberta for the first time. Until 2015, Alberta had been the only province in western Canada — the party's birthplace — where the NDP had never governed at the provincial level. Edmonton is an area of the London Borough of Enfield, England, 8.4 miles (13.5 km) north-northeast of Charing Cross. The Edmonton Eskimos are a professional Canadian football team based in Edmonton, Alberta, competing in the West Division of the Canadian Football League (CFL). The Eskimos play their home games at The Brick Field at Commonwealth Stadium and are the third-youngest franchise in the CFL. The Eskimos were founded in 1949, although there were clubs with the name Edmonton Eskimos as early as 1895. The Eskimos are arguably the most successful CFL franchise of the modern era (since 1954), having won the league's Grey Cup championship fourteen times, second overall only to the Toronto Argonauts who have won seventeen. This includes a three-peat between 1954 and 1956 and an unmatched five consecutive wins between 1978 and 1982, and most recently in 2015. The Eskimos hold a North American professional sports record by qualifying for the playoffs for 34 consecutive years between 1972 and 2005. Edmonton has had the most regular season division championships in the CFL's modern era with 21, with their most recent coming in 2015. The team has a rivalry with the Calgary Stampeders and are one of the three community owned teams currently operating in the CFL. Edmonton International Airport (IATA: YEG, ICAO: CYEG) is the primary air passenger and air cargo facility in the Edmonton Metropolitan Region of the Canadian province of Alberta. Operated by Edmonton Airports, it is located 14 nautical miles (26 km; 16 mi) south southwest of Downtown Edmonton in Leduc County on Highway 2 opposite of the city of Leduc. The airport offers scheduled non-stop flights to major cities in Canada, the United States, Mexico, the Caribbean, Central America and Europe. It is a hub facility for Northern Alberta and Northern Canada. The airport has a catchment area encompassing Central and Northern Alberta, northern British Columbia, and Yukon, the Northwest Territories and western Nunavut. Total catchment area is 1.8 million residents. It is Canada's largest major airport by total land area, the 5th busiest airport by passenger traffic and 9th busiest by aircraft movements. It served 8,254,121 passengers in 2018. The Edmonton Journal is a daily newspaper in Edmonton, Alberta. It is part of the Postmedia Network. The Edmonton Oilers are a professional ice hockey team based in Edmonton, Alberta. They are members of the Pacific Division of the Western Conference of the National Hockey League (NHL). The Oilers were officially founded in 1971 by W. D. "Wild Bill" Hunter and Dr. Chuck Allard. The team played its first season in 1972, as one of the twelve founding franchises of the major professional World Hockey Association (WHA). They were originally intended to be one of two WHA Alberta teams, along with the Calgary Broncos. However, when the Broncos relocated to Cleveland, Ohio, before the WHA's first season began, the Oilers were renamed the Alberta Oilers. They returned to their current name in the following year, and subsequently joined the NHL in 1979 as one of four franchises absorbed through the NHL merger with the WHA. After joining the NHL, the Oilers went on to win the Stanley Cup on five occasions: 1983–84, 1984–85, 1986–87, 1987–88 and 1989–90. Along with the Pittsburgh Penguins, they are tied for the most championships won by any team since the NHL-WHA merger and also the most won by any team that joined the league in or after 1967. Among all NHL teams, only the Montreal Canadiens have won the Stanley Cup more times since the League's 1967 expansion. For their success in the 1980s, the Oilers team of this era has been honoured with dynasty status by the Hockey Hall of Fame.However, the Oilers began to struggle greatly shortly after the 2004–05 NHL lockout, having missed the playoffs every year since 2006, with the exception of 2016–17. The Oilers have drafted 12 first round selections since 2007, 10 of which were within the first 10 draft choices overall, 6 of those picks were within the first 4 picks overall, and 4 of those 6 were first overall selections. In the NHL Entry Draft Edmonton Selected first overall Taylor Hall, Ryan Nugent-Hopkins, Nail Yakupov and Connor McDavid with those picks, only two of those players remain with the Oilers today. The Oilers are one of two NHL franchises based in Alberta; the other being the Calgary Flames. Their close proximity to each other has led to a fierce rivalry known as the "Battle of Alberta". The Legislative Assembly of Alberta is one of two components of the Legislature of Alberta, the other being Elizabeth II, Queen of Canada, represented by the Lieutenant-Governor of Alberta. The Alberta legislature meets in the Alberta Legislature Building in the provincial capital, Edmonton. The Legislative Assembly consists of 87 members, elected first past the post from single-member electoral districts.The maximum period between general elections of the assembly, as set by the country's Constitution, is five years, but the premier controls the date of election and usually selects a date in the fourth or fifth year after the preceding election. Since 2011, Alberta has fixed election date legislation, fixing the election to a date between March 1 and May 31 in the fourth calendar year following the preceding election. Alberta has never had a minority government, so an election as a result of a vote of no confidence has never occurred. To be a candidate for election to the assembly, a person must be a Canadian citizen older than 18 who has lived in Alberta for at least six months before the election. Senators, senators in waiting, members of the House of Commons, and criminal inmates are ineligible.The current and 29th Alberta Legislative Assembly was elected on May 5, 2015. Northlands Coliseum, or simply the Coliseum, is an indoor arena located in Edmonton, Alberta, Canada, situated on the north side of Northlands. It was home to the Edmonton Oilers of the National Hockey League (NHL), and the Edmonton Oil Kings of the Western Hockey League (WHL). The arena opened in 1974, and was later known as Edmonton Coliseum, Skyreach Centre, and Rexall Place, before returning to the Northlands Coliseum name in summer 2016. The arena hosted the 1981 and 1984 Canada Cup hockey tournaments, the 1978 Commonwealth Games, seven Stanley Cup finals (Oilers loss in 1983; Oilers victories in 1984, 1985, 1987, 1988 and 1990; and Oilers loss in 2006), many other hockey events, along with other sporting events and major concerts. The final NHL game played at the arena was on April 6, 2016. The building closed on New Year's Day 2018, after ownership of the facility was transferred from Northlands to the City of Edmonton. Northlands had planned to re-develop the arena into a multi-level ice facility, but these plans were scrapped after it was found that renovating the facility would be more costly than building a new one altogether. Telus Corporation (stylized as TELUS) is a Canadian national telecommunications company that provides a wide range of telecommunications products and services including internet access, voice, entertainment, healthcare, video, and IPTV television. The company is based in the Vancouver, British Columbia area; it was originally based in Edmonton, Alberta, before its merger with BCTel in 1999. Telus' wireless division, Telus Mobility, offers HSPA+, and LTE-based mobile phone networks. Telus is the incumbent local exchange carrier in British Columbia and Alberta. Telus' primary competitors are Shaw Communications (in the western provinces), and Bell Canada and Vidéotron (in Quebec). Telus is a member of the British Columbia Technology Industry Association. The University of Alberta (also known as U of A and UAlberta) is a public research university located in Edmonton, Alberta, Canada. It was founded in 1908 by Alexander Cameron Rutherford, the first premier of Alberta, and Henry Marshall Tory, its first president. Its enabling legislation is the Post-secondary Learning Act. The university is considered a “Comprehensive academic and research university” (CARU), which means that it offers a range of academic and professional programs, which generally lead to undergraduate and graduate level credentials, and have a strong research focus.The university comprises four campuses in Edmonton, the Augustana Campus in Camrose, and a staff centre in downtown Calgary. The original north campus consists of 150 buildings covering 50 city blocks on the south rim of the North Saskatchewan River valley, directly across from downtown Edmonton. 39,000 students from Canada and 150 other countries participate in 400 programs in 18 faculties. The University of Alberta is a major economic driver in Alberta. The university's impact on the Alberta economy is an estimated $12.3 billion annually, or five per cent of the province's gross domestic product.The University of Alberta is also a leading institution for the study of Ukraine and is home to the Canadian Institute of Ukrainian Studies.The University of Alberta has graduated more than 275,000 alumni, including Governor General Roland Michener; Prime Minister Joe Clark; Chief Justice of Canada Beverley McLachlin; Alberta premiers Peter Lougheed, Dave Hancock, Jim Prentice and Rachel Notley; Edmonton Mayor Don Iveson and Nobel laureate Richard E. Taylor. The university is a member of the Alberta Rural Development Network, the Association for the Advancement of Sustainability in Higher Education and the Sustainability Tracking, Assessment & Rating System. Wayne Douglas Gretzky (; born January 26, 1961) is a Canadian former professional ice hockey player and former head coach. He played 20 seasons in the National Hockey League (NHL) for four teams from 1979 to 1999. Nicknamed "The Great One", he has been called "the greatest hockey player ever" by many sportswriters, players, and the league itself. Gretzky is the leading scorer in NHL history, with more goals and assists than any other player. He garnered more assists than any other player scored total points, and is the only NHL player to total over 200 points in one season – a feat he accomplished four times. In addition, Gretzky tallied over 100 points in 16 professional seasons, 14 of them consecutive. At the time of his retirement in 1999 and persisting through 2017, he holds 61 NHL records: 40 regular season records, 15 playoff records, and six All-Star records.Born and raised in Brantford, Ontario, Canada, Gretzky honed his skills at a backyard rink and regularly played minor hockey at a level far above his peers. Despite his unimpressive stature, strength and speed, Gretzky's intelligence and reading of the game were unrivaled. He was adept at dodging checks from opposing players, and consistently anticipated where the puck was going to be and executed the right move at the right time. Gretzky became known for setting up behind his opponent's net, an area that was nicknamed "Gretzky's office".In 1978, Gretzky signed with the Indianapolis Racers of the World Hockey Association (WHA), where he briefly played before being traded to the Edmonton Oilers. When the WHA folded, the Oilers joined the NHL, where he established many scoring records and led his team to four Stanley Cup championships. Gretzky's trade to the Los Angeles Kings on August 9, 1988, had an immediate impact on the team's performance, eventually leading them to the 1993 Stanley Cup Finals, and he is credited with popularizing hockey in California. Gretzky played briefly for the St. Louis Blues before finishing his career with the New York Rangers. Gretzky captured nine Hart Trophies as the most valuable player, 10 Art Ross Trophies for most points in a season, two Conn Smythe Trophies as playoff MVP and five Lester B. Pearson Awards (now called the Ted Lindsay Award) for most outstanding player as judged by his peers. He won the Lady Byng Memorial Trophy for sportsmanship and performance five times, and often spoke out against fighting in hockey.After his retirement in 1999, Gretzky was immediately inducted into the Hockey Hall of Fame, making him the most recent player to have the waiting period waived. The NHL retired his jersey number 99 league-wide, making him the only player to receive such an honour. Gretzky was one of six players voted to the International Ice Hockey Federation's (IIHF) Centennial All-Star Team. Gretzky became executive director for the Canadian national men's hockey team during the 2002 Winter Olympics, in which the team won a gold medal. In 2000, he became part-owner of the Phoenix Coyotes, and following the 2004–05 NHL lockout, he became the team's head coach. In 2004, Gretzky was inducted into the Ontario Sports Hall of Fame. In September 2009, following the Phoenix Coyotes' bankruptcy, Gretzky resigned as head coach and relinquished his ownership share. In October 2016, he became partner and vice-chairman of Oilers Entertainment Group. West Edmonton Mall (WEM), located in Edmonton, Alberta, Canada, is the largest shopping mall in North America, followed by King of Prussia Mall, and the 23rd largest in the world (along with The Dubai Mall) by gross leasable area. It was the world's largest mall until 2004. The mall was founded by the Ghermezian brothers, who emigrated from Iran in 1959. Its anchors are Hudson's Bay, London Drugs, La Maison Simons, The Brick, and Winners/HomeSense. West Edmonton Mall covers a gross area of about 490,000 m2 (5,300,000 sq ft). There are over 800 stores and services including nine attractions, two hotels and over 100 dining venues in the complex, and parking for more than 20,000 vehicles. More than 24,000 people are employed at the property. The mall receives about 32 million visitors per year; it attracts between 90,000 and 200,000 shoppers daily, depending on the day and season. The mall was valued at $926 million (CAD) in January 2007, and in 2016, for tax purposes, it was valued at $1.3034 billion (CAD), making it the most valuable property in Edmonton.